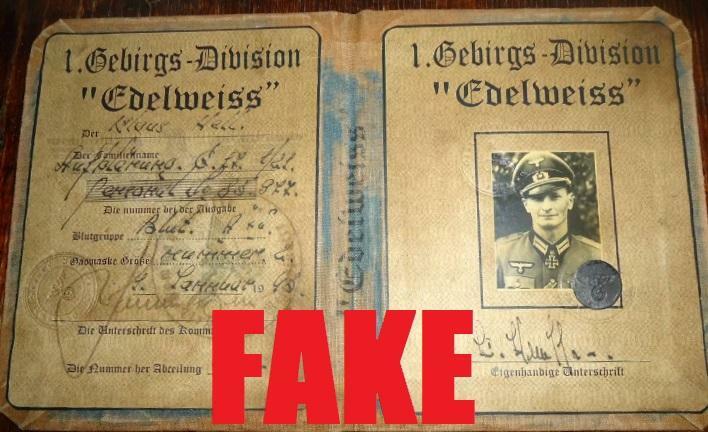 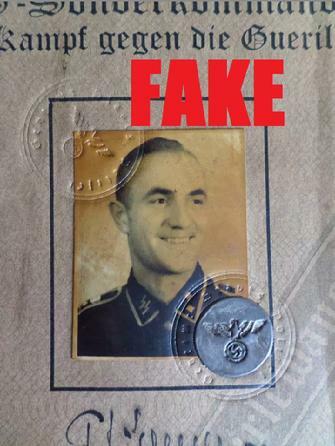 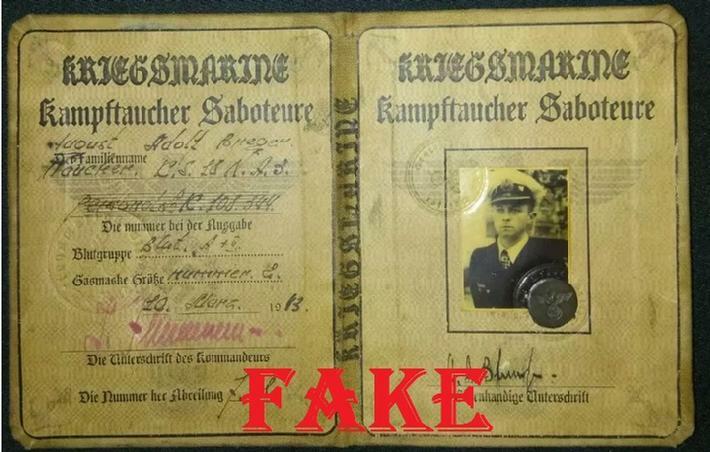 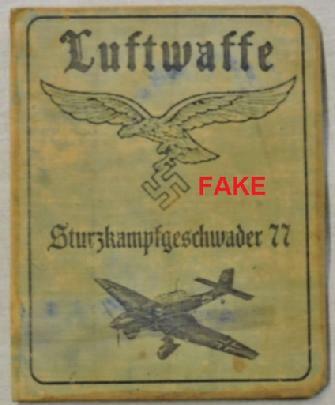 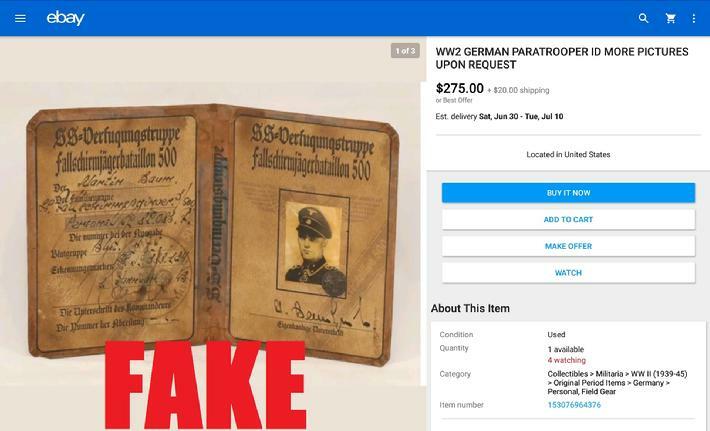 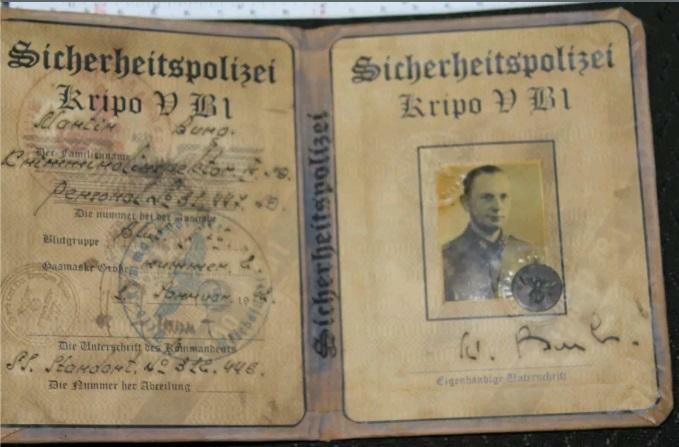 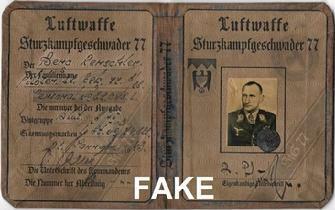 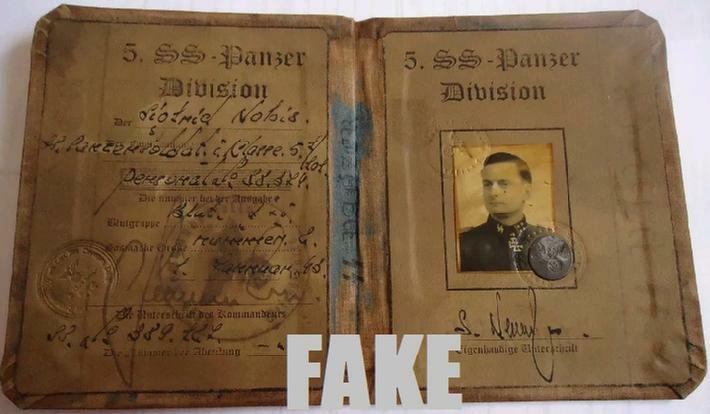 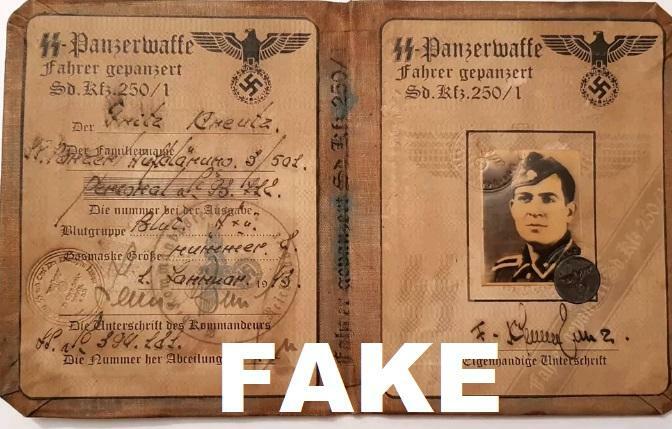 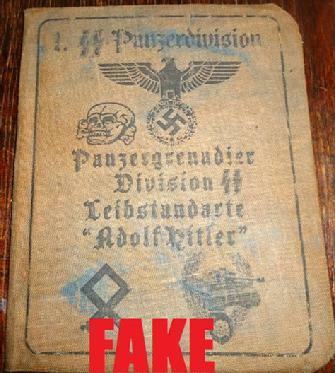 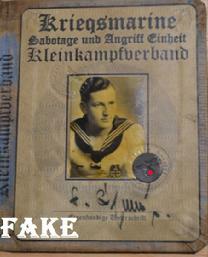 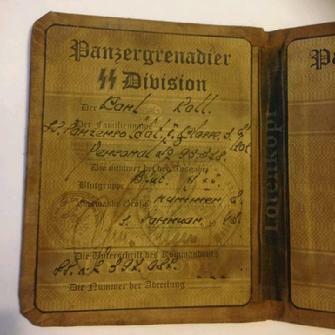 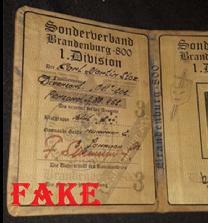 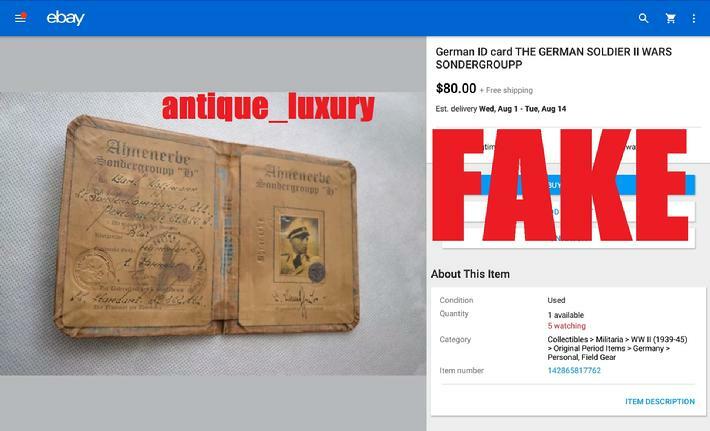 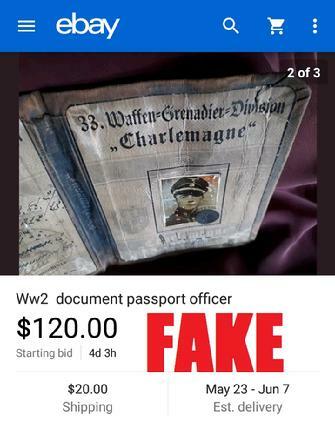 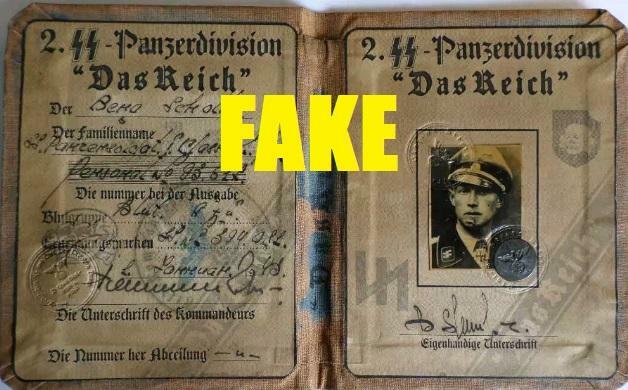 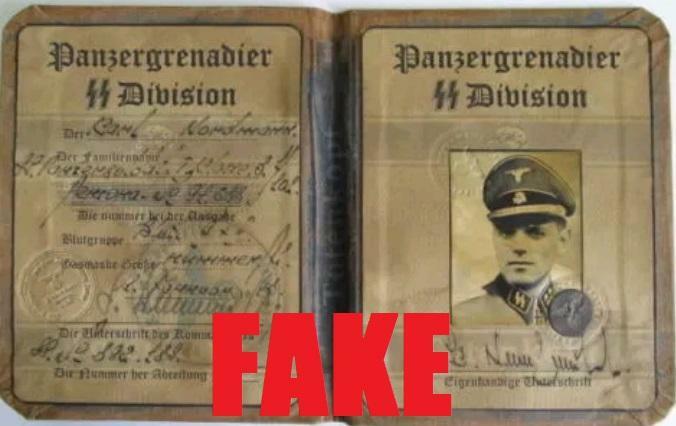 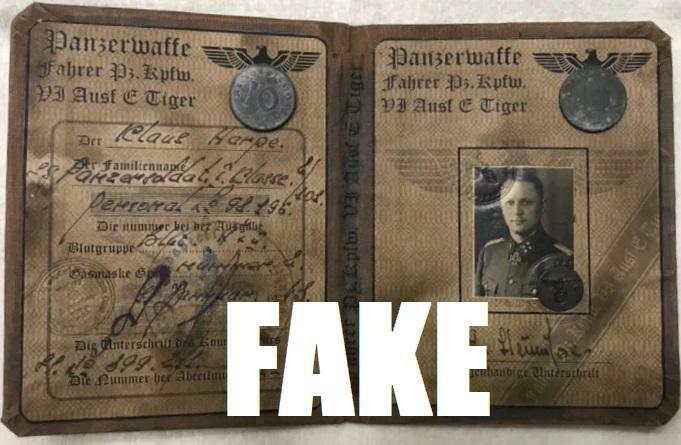 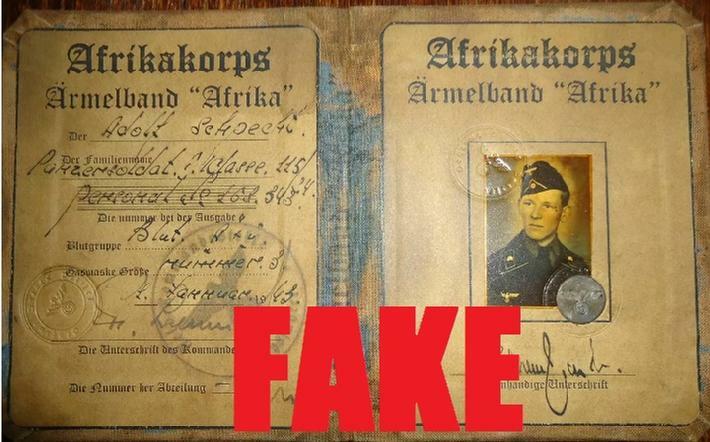 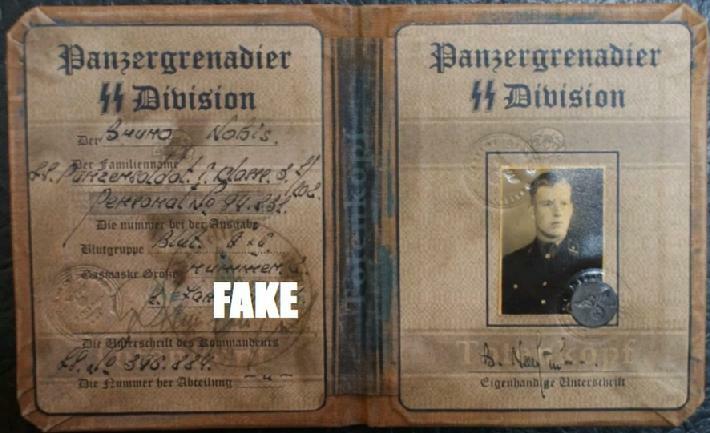 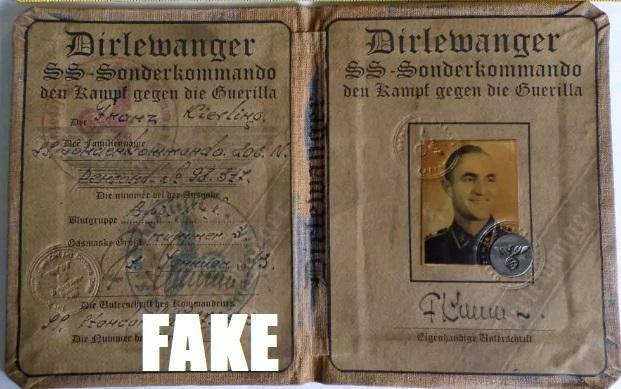 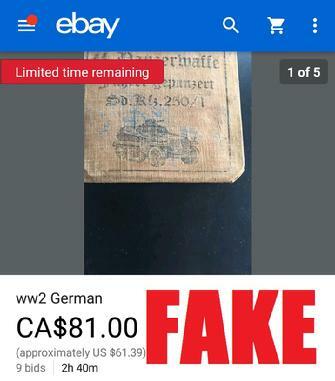 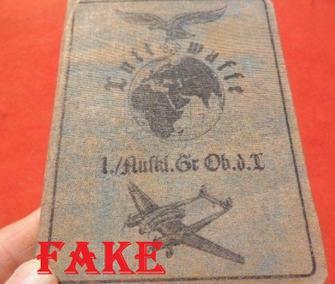 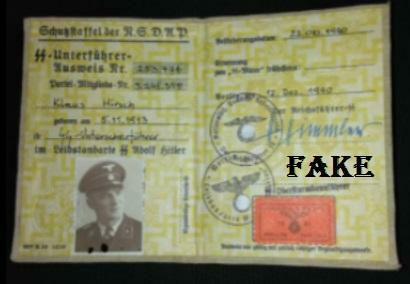 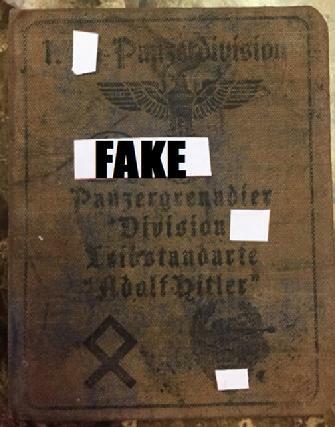 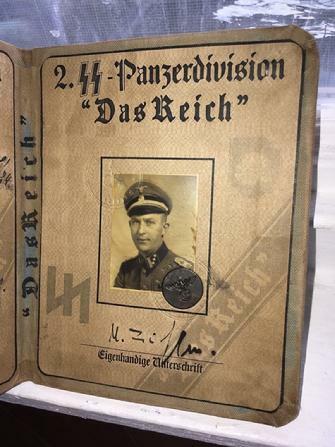 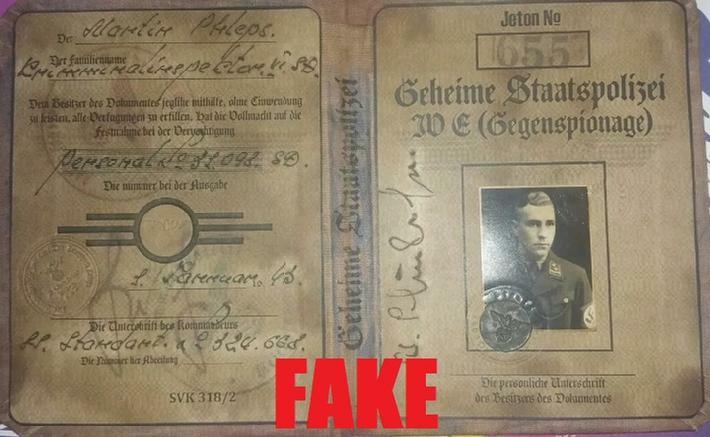 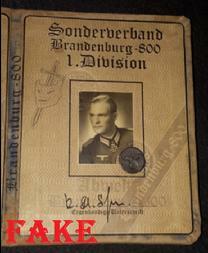 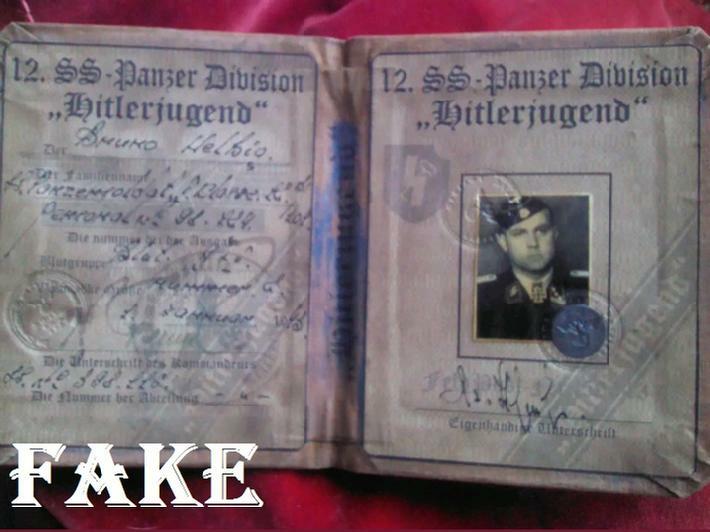 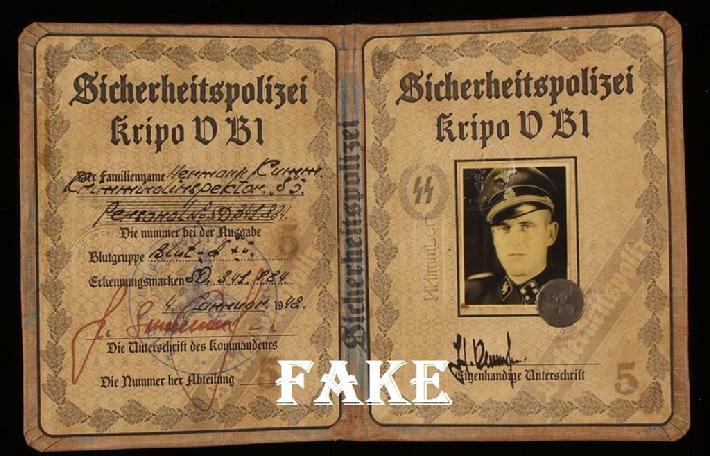 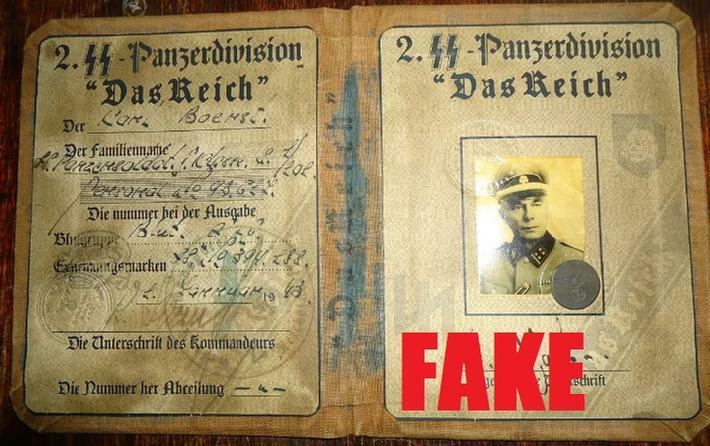 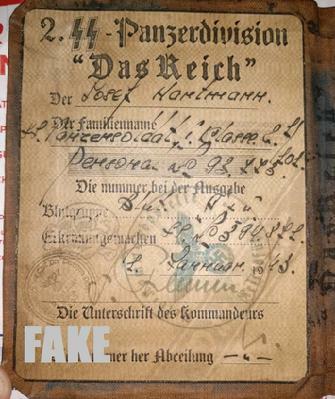 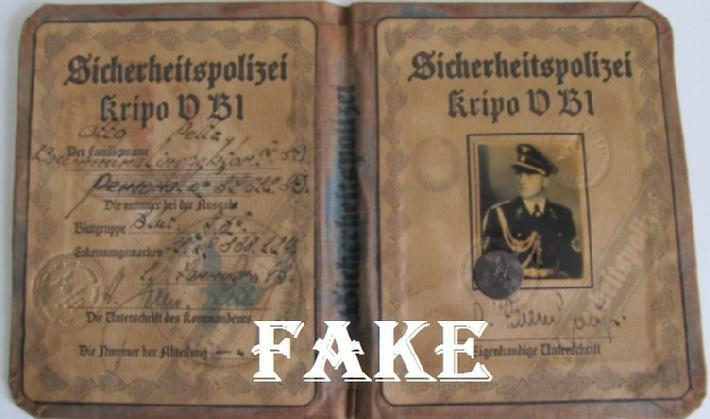 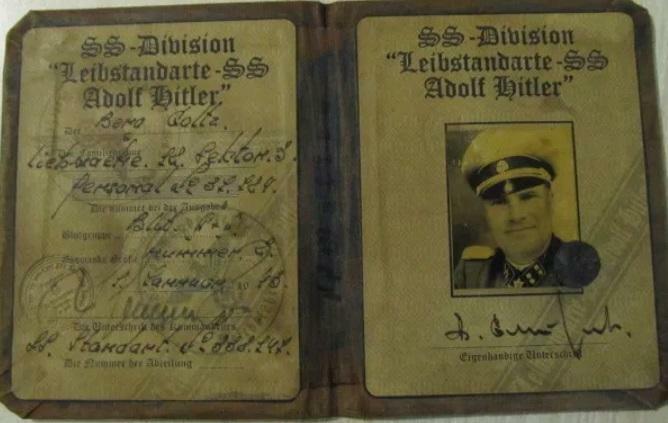 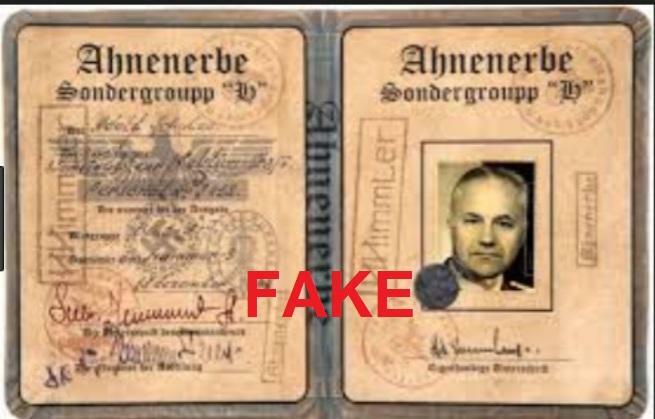 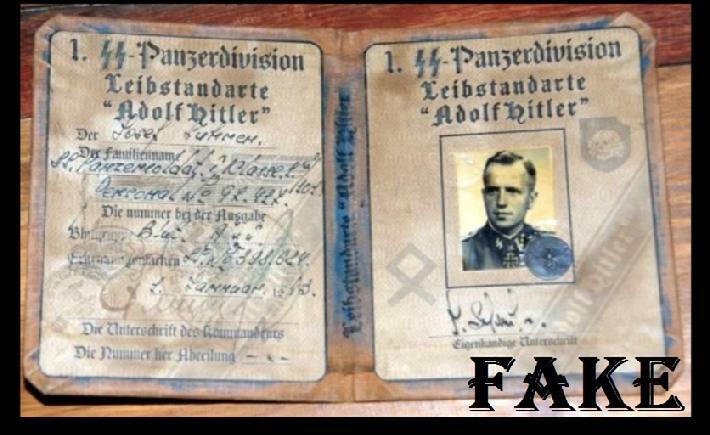 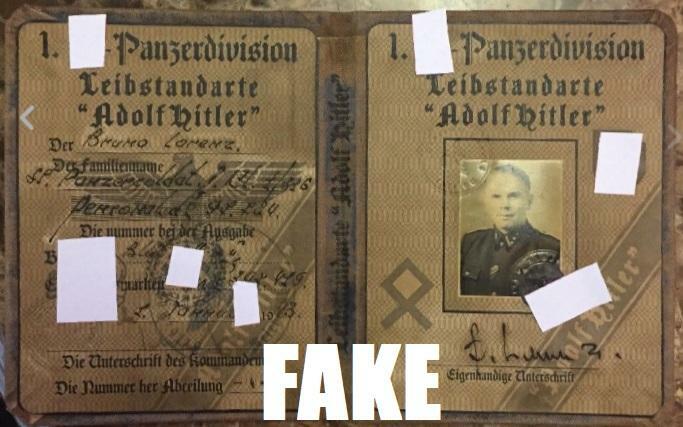 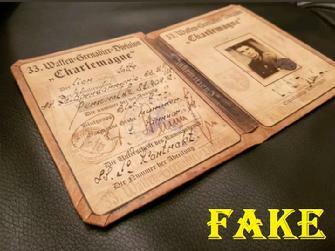 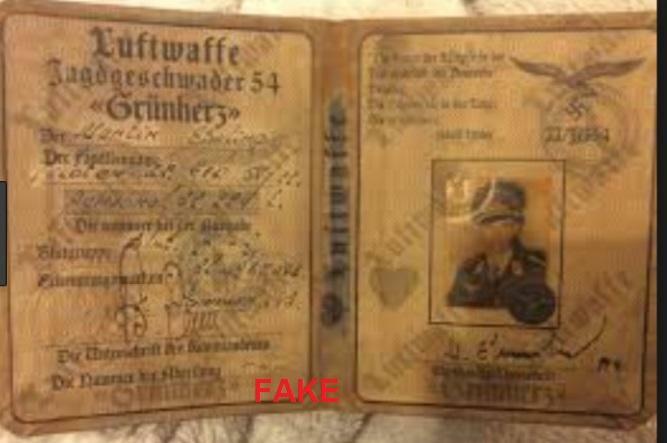 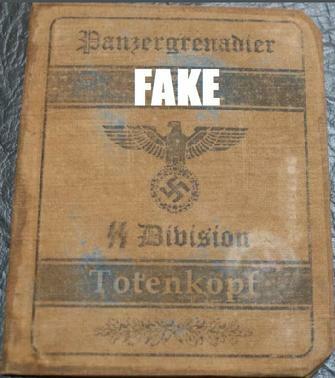 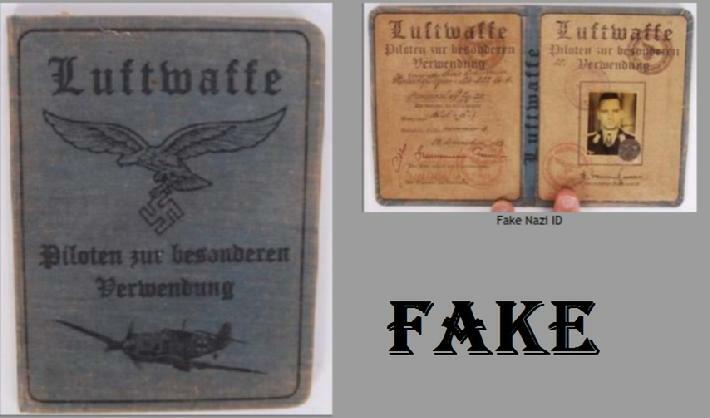 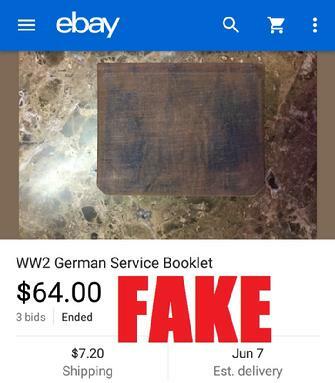 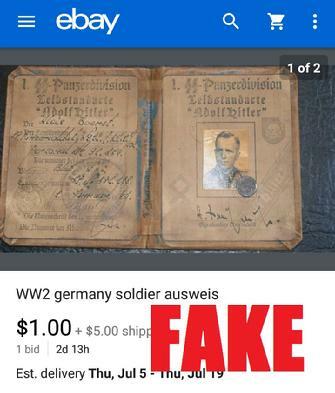 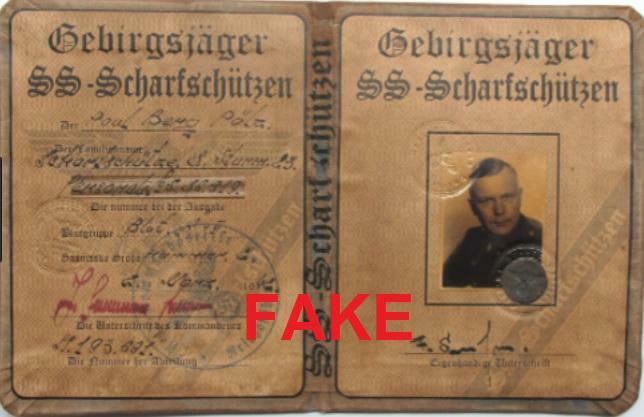 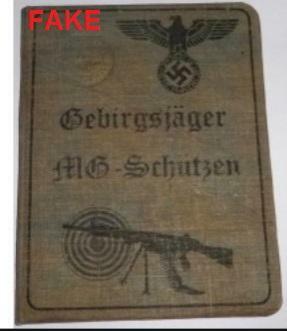 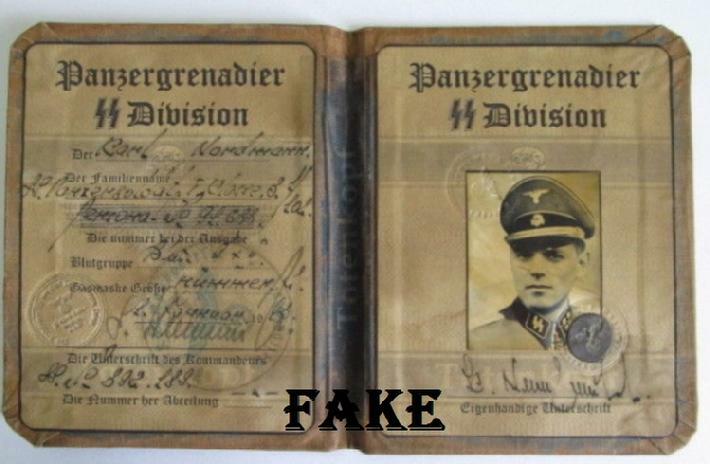 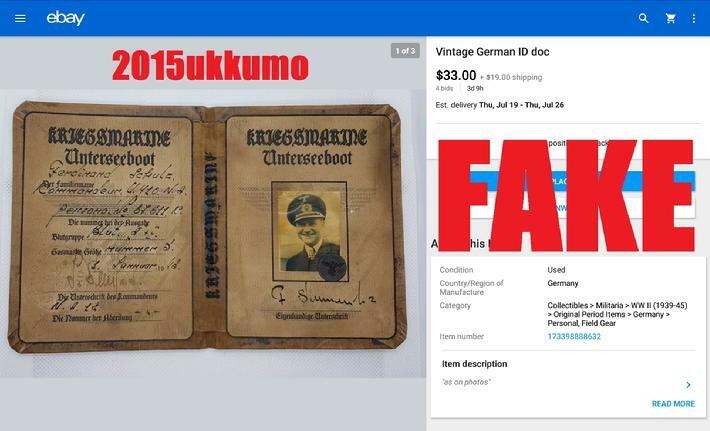 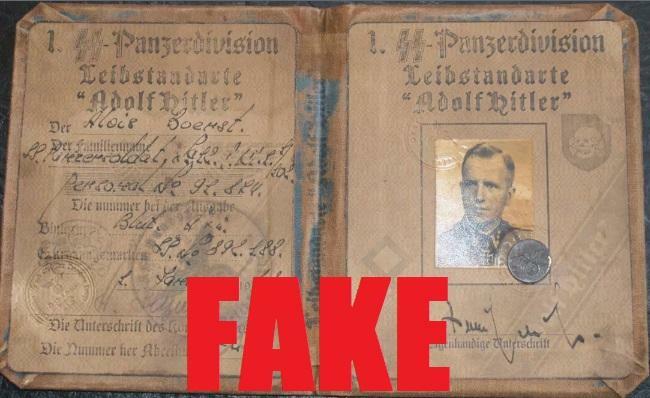 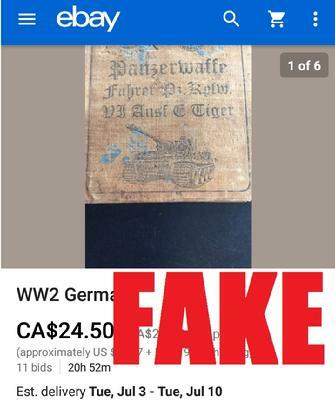 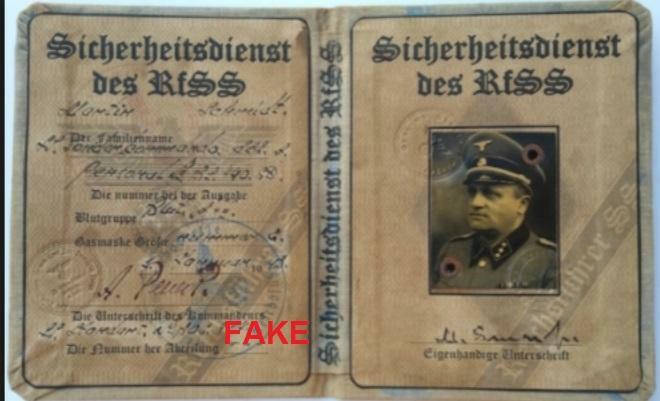 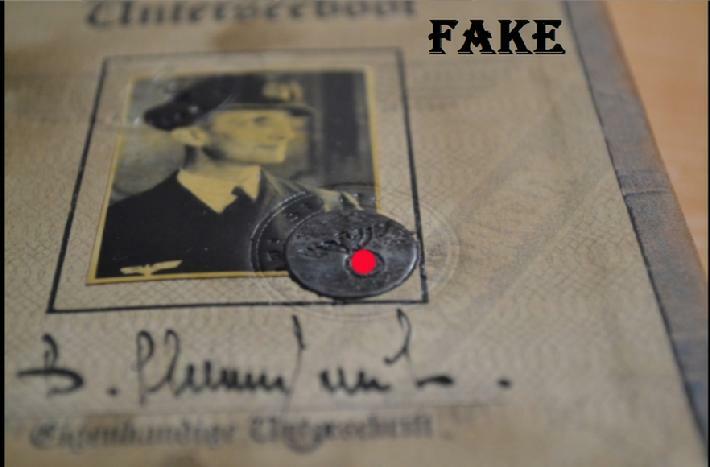 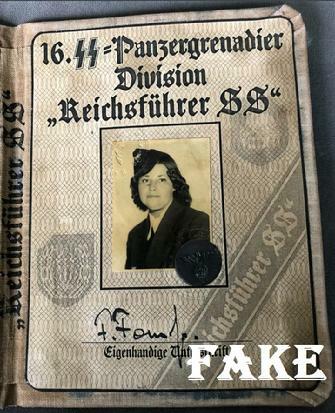 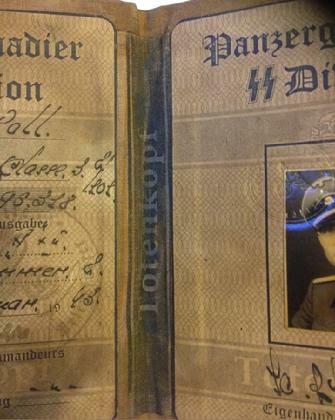 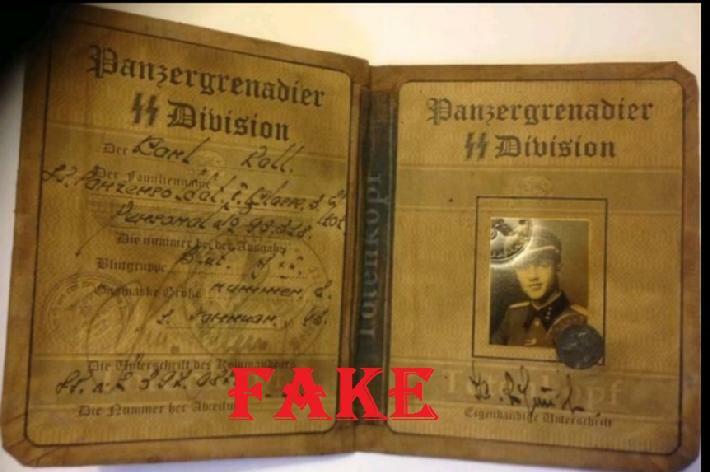 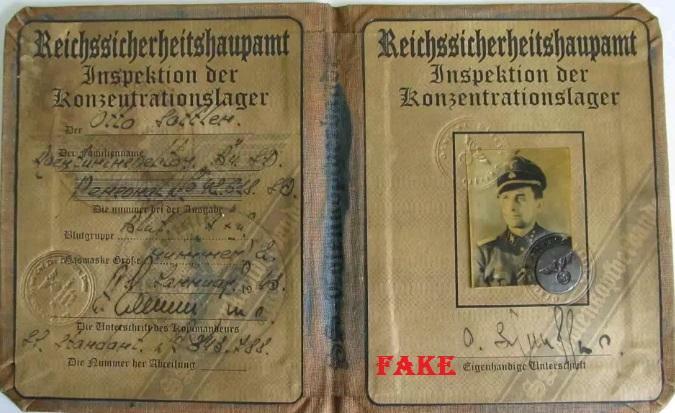 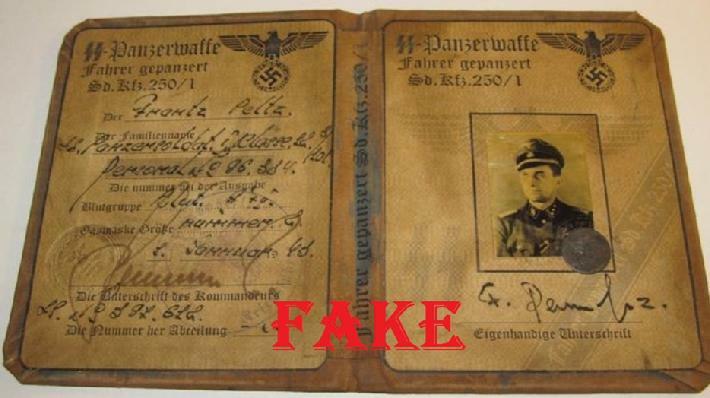 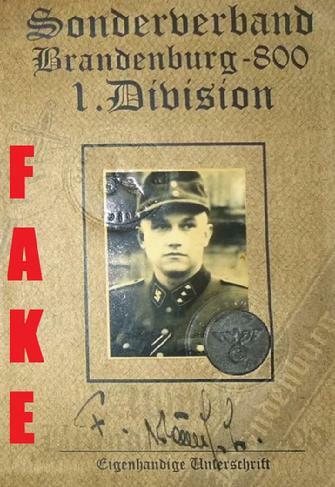 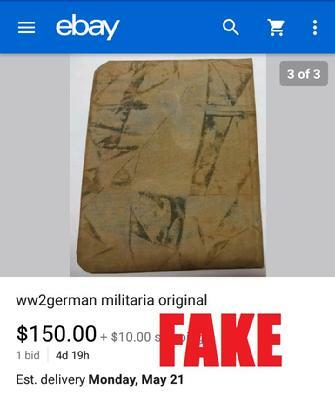 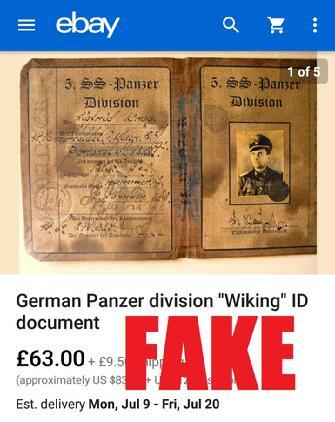 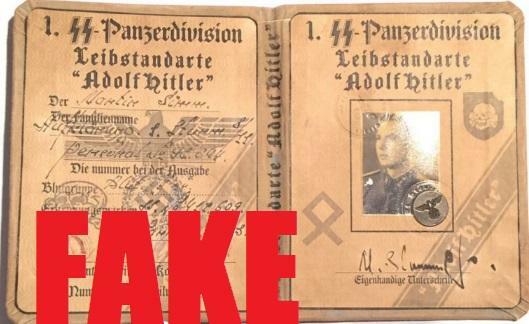 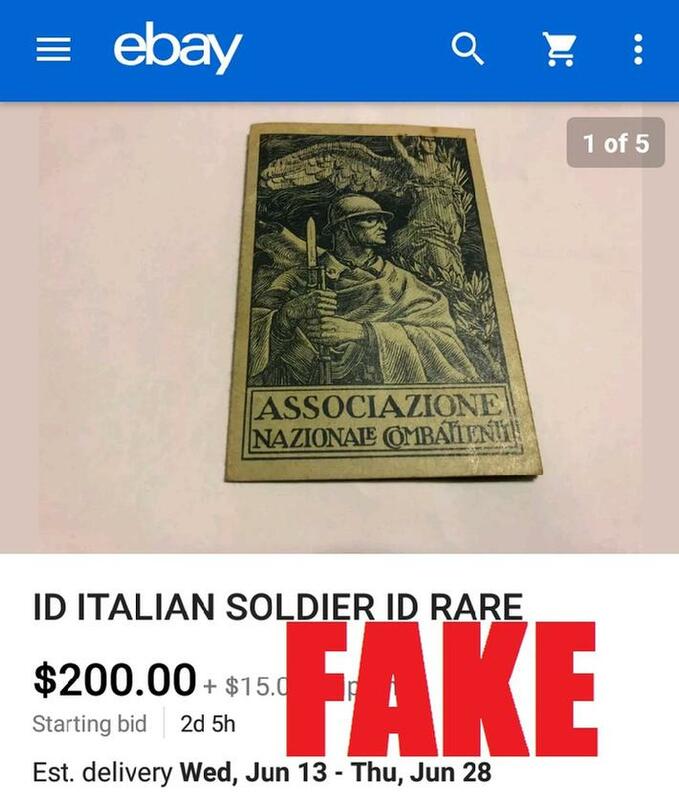 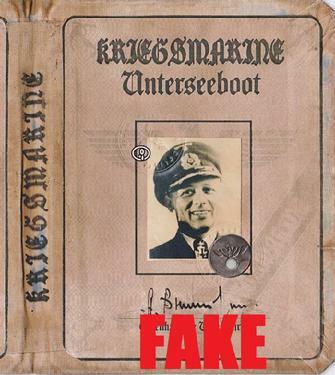 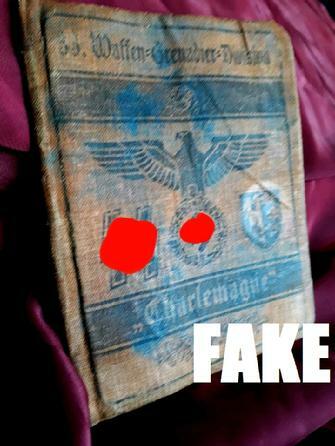 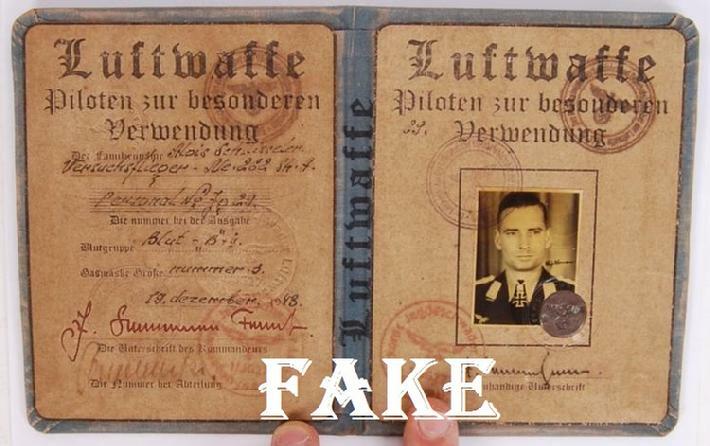 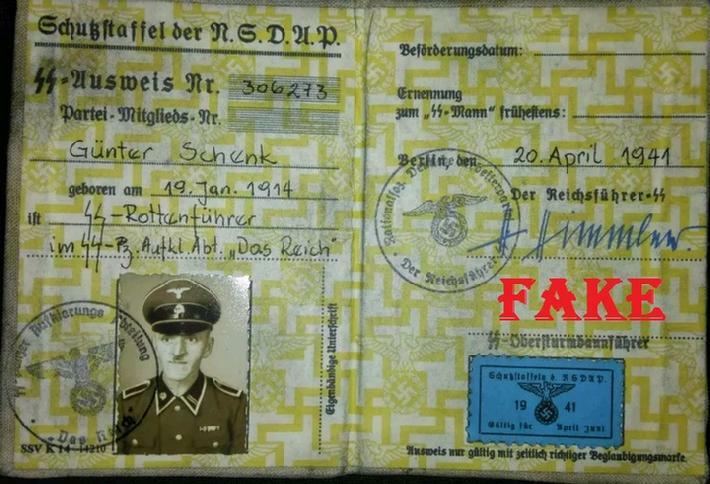 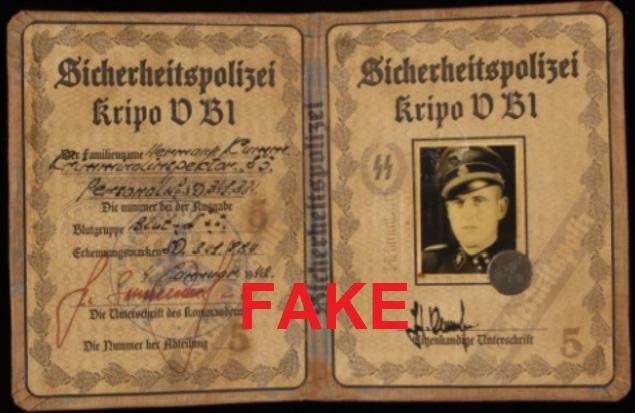 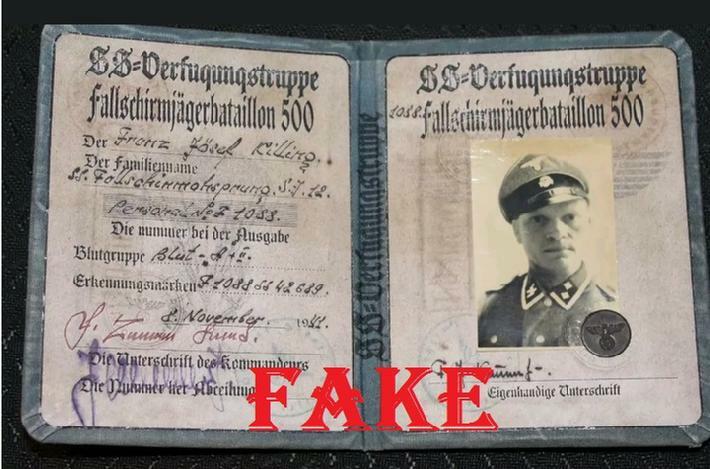 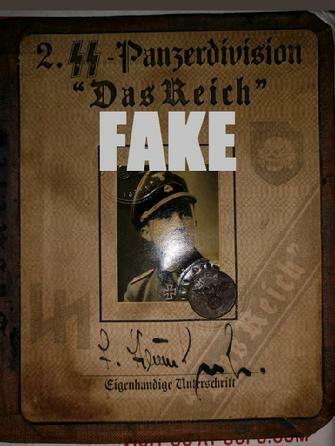 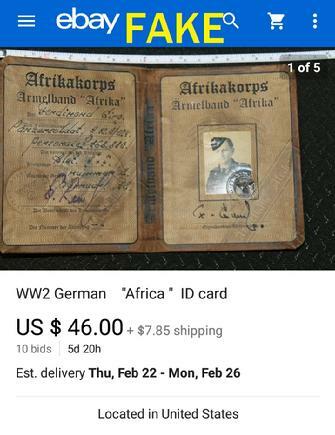 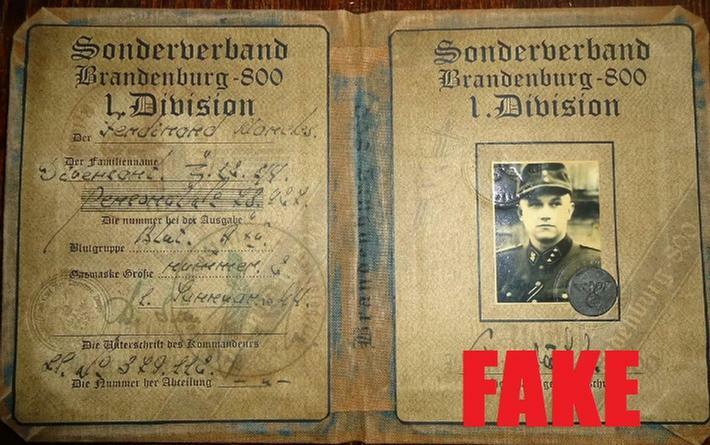 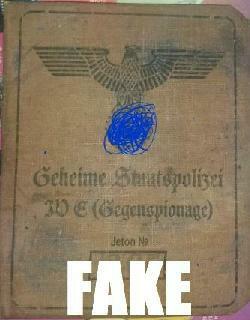 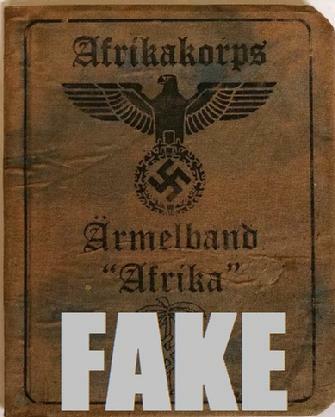 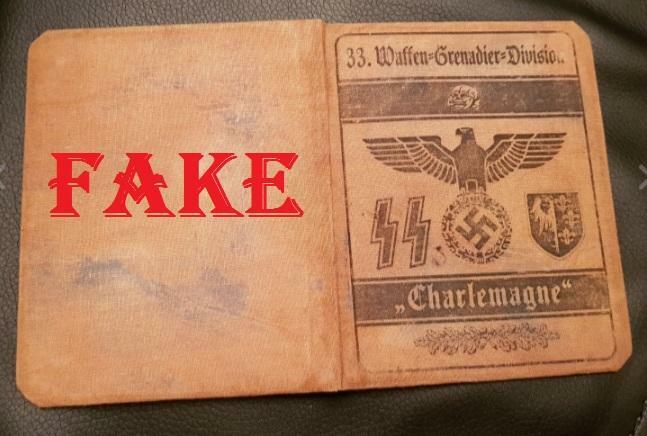 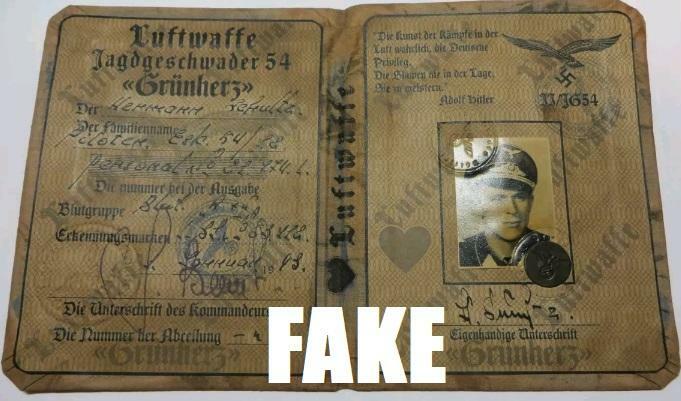 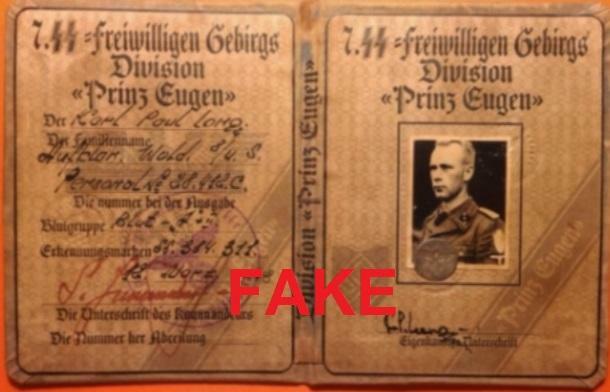 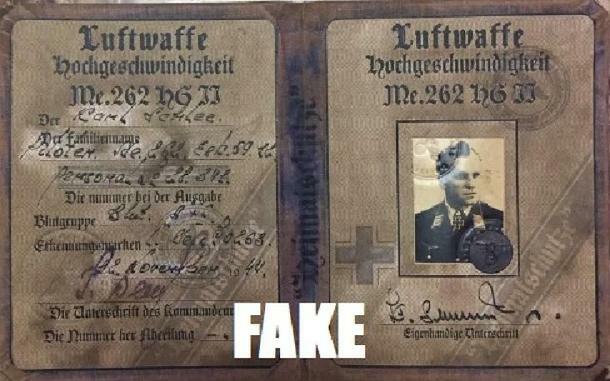 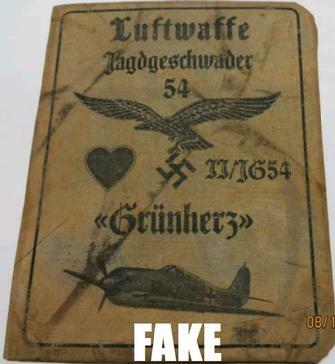 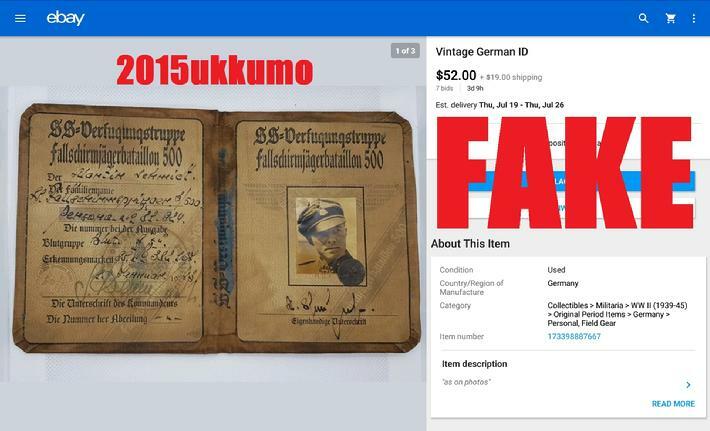 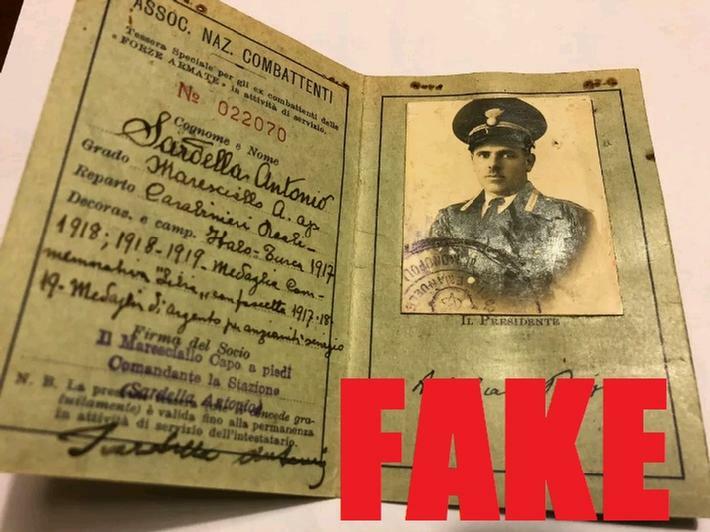 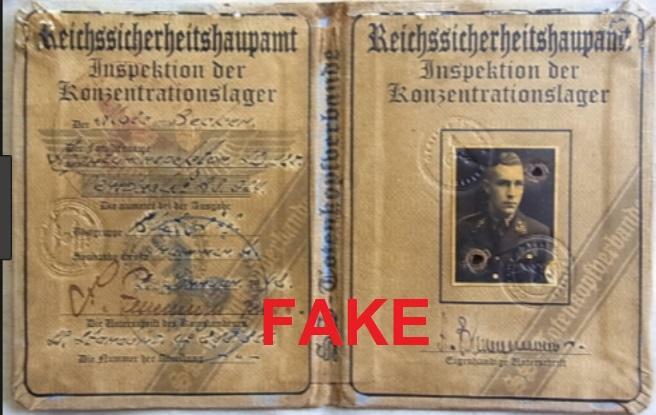 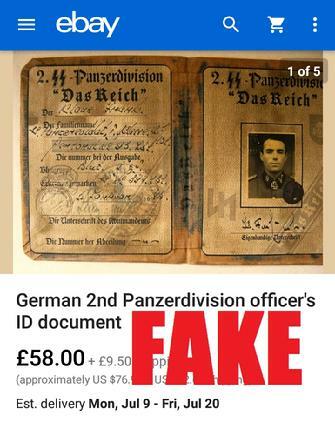 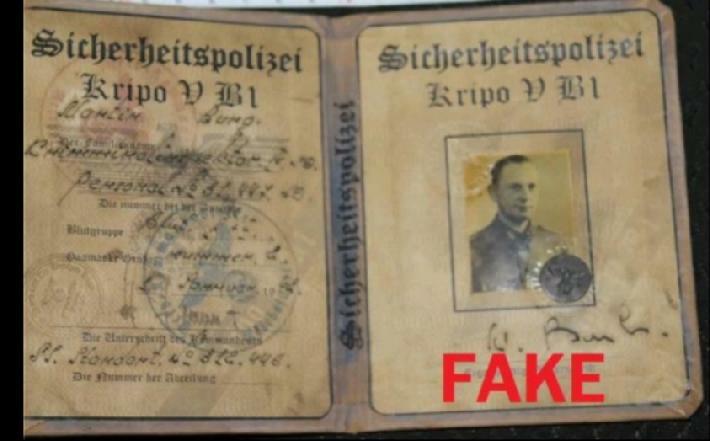 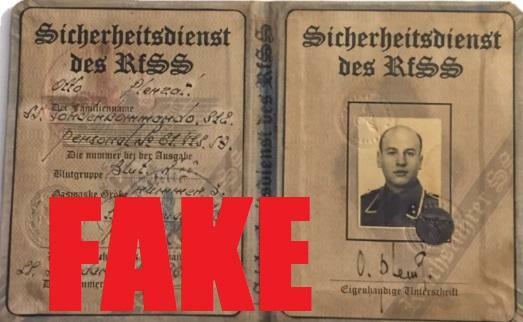 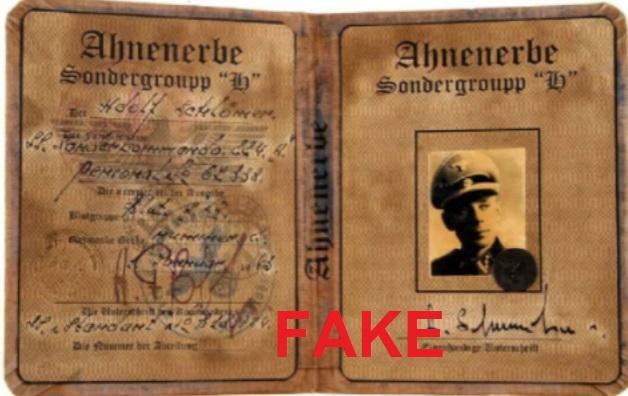 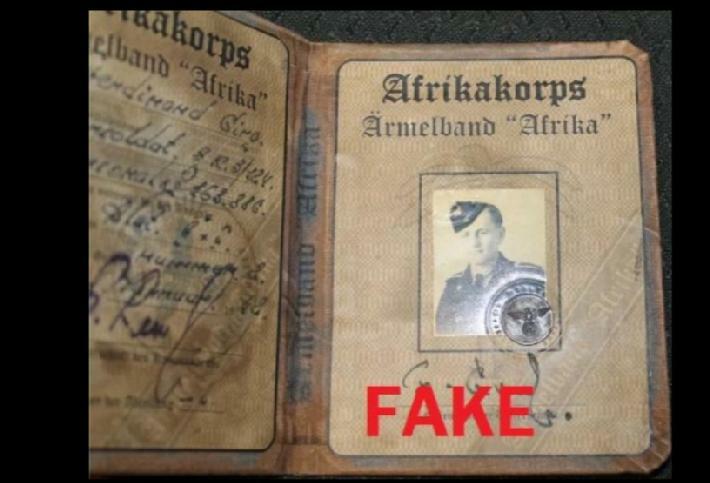 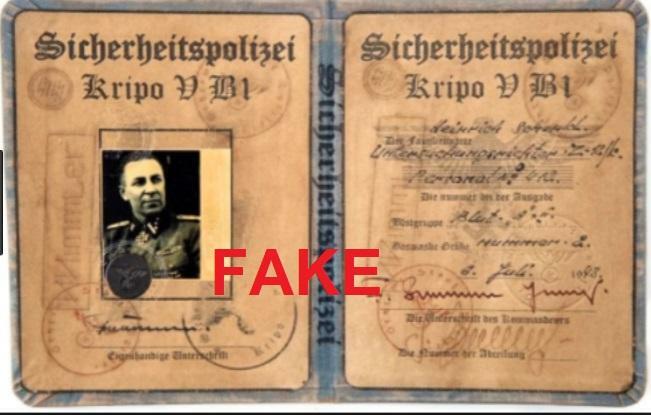 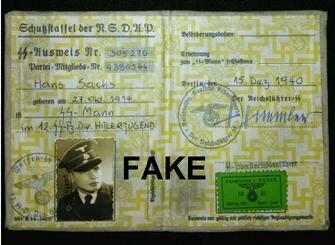 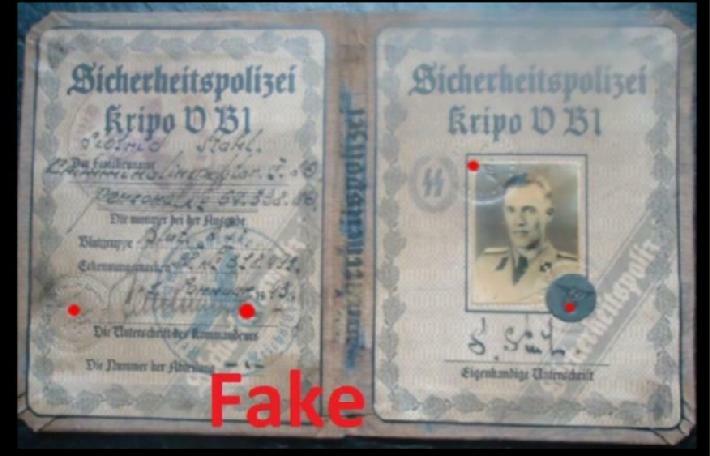 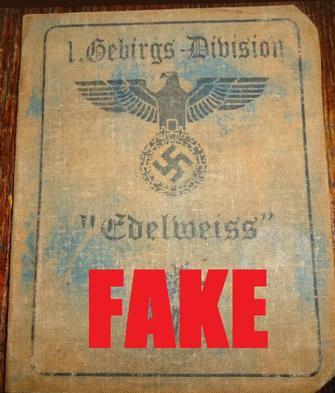 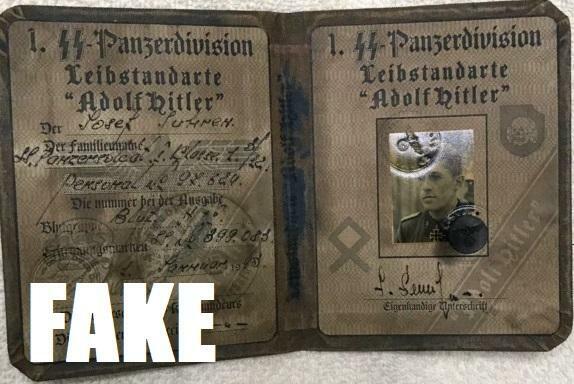 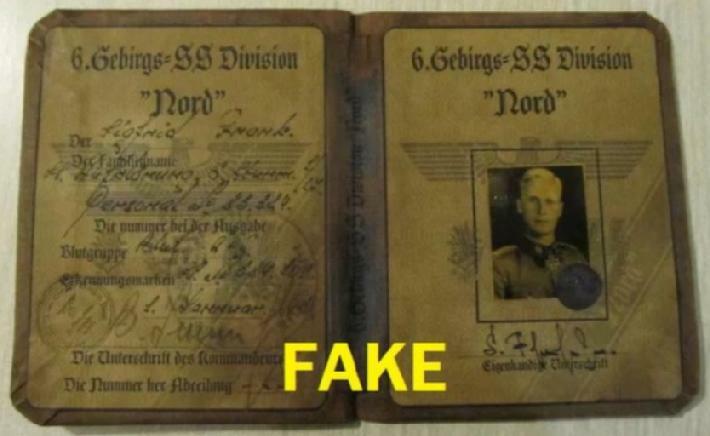 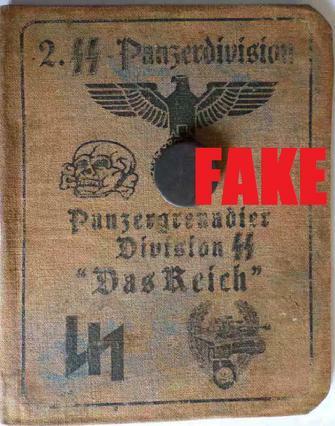 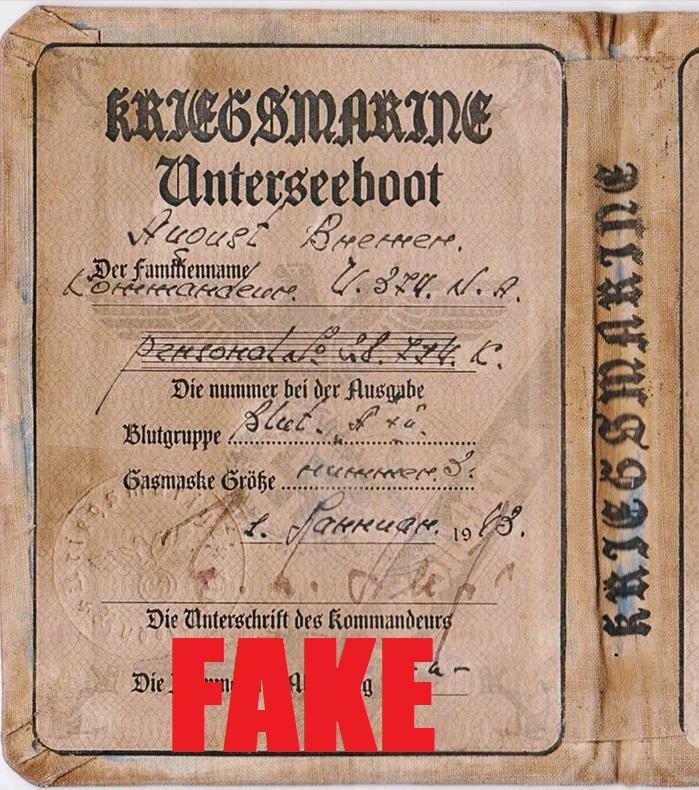 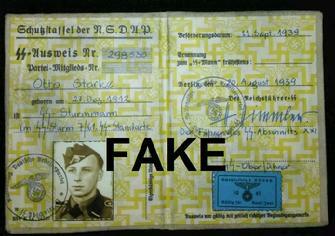 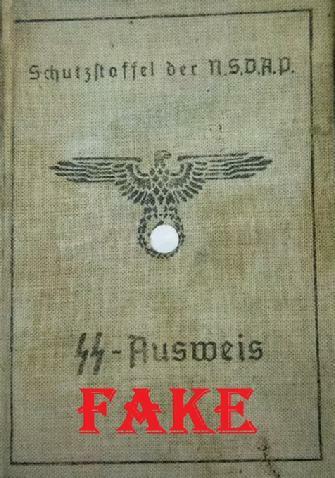 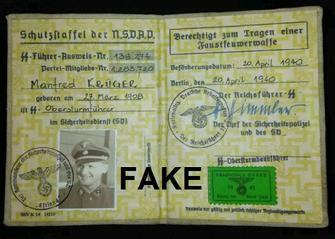 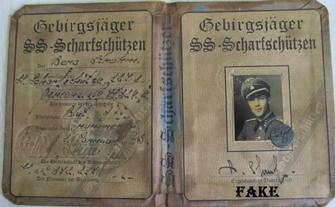 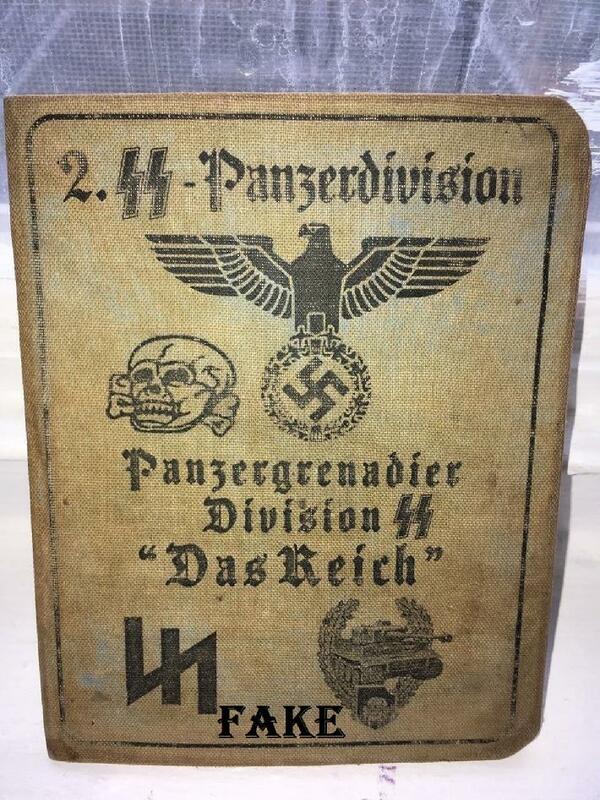 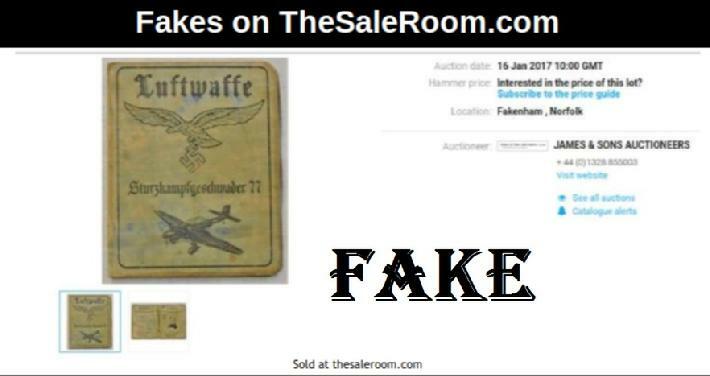 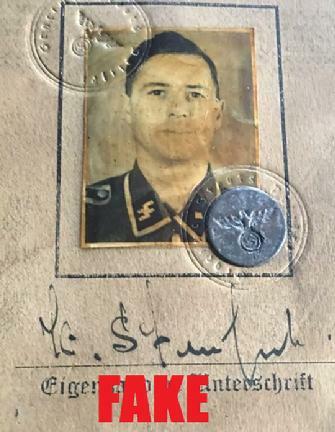 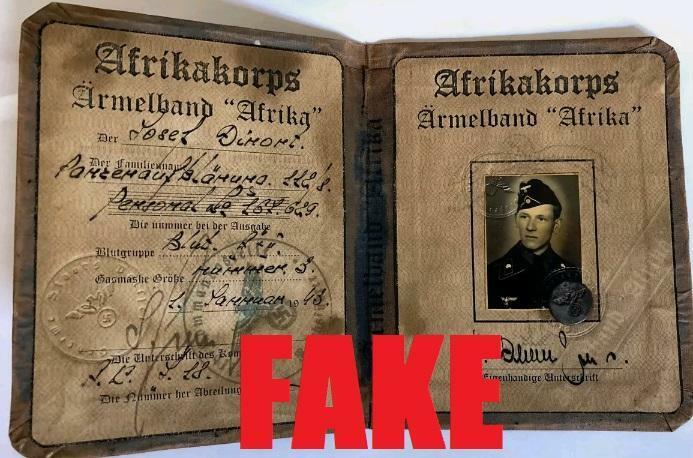 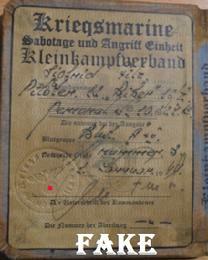 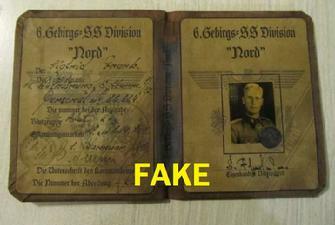 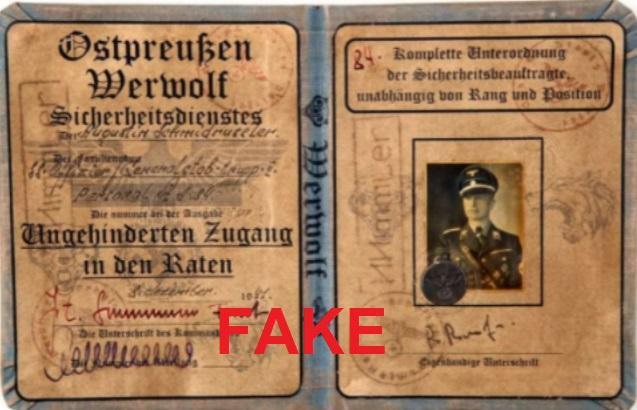 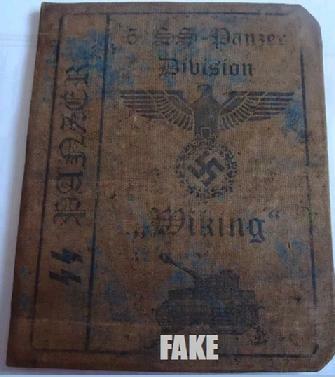 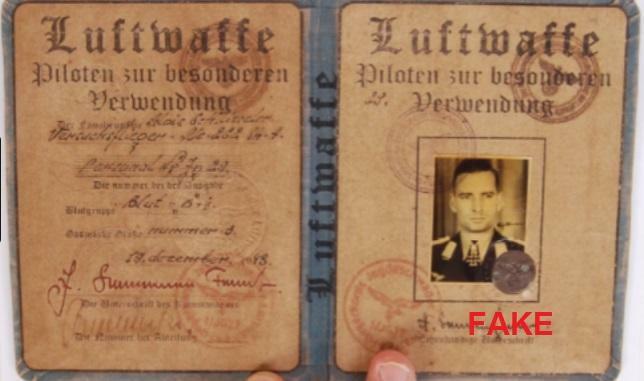 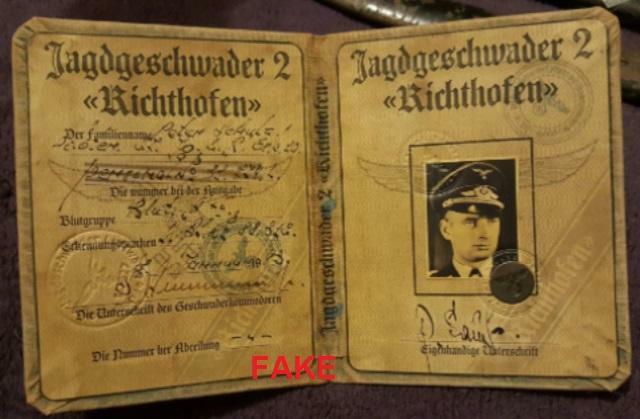 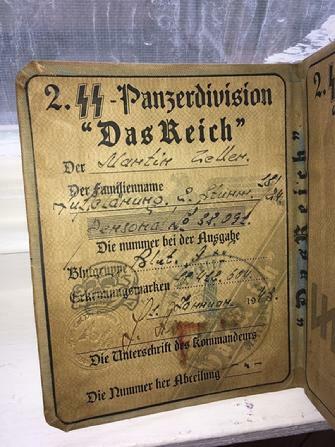 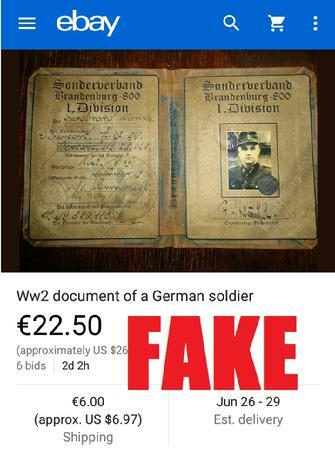 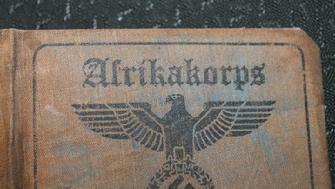 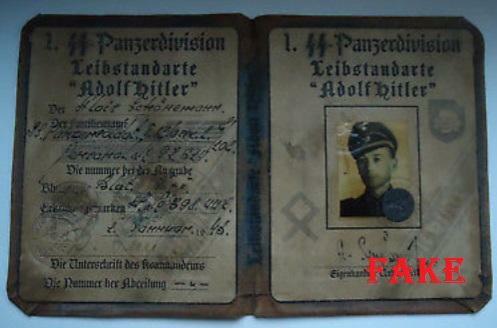 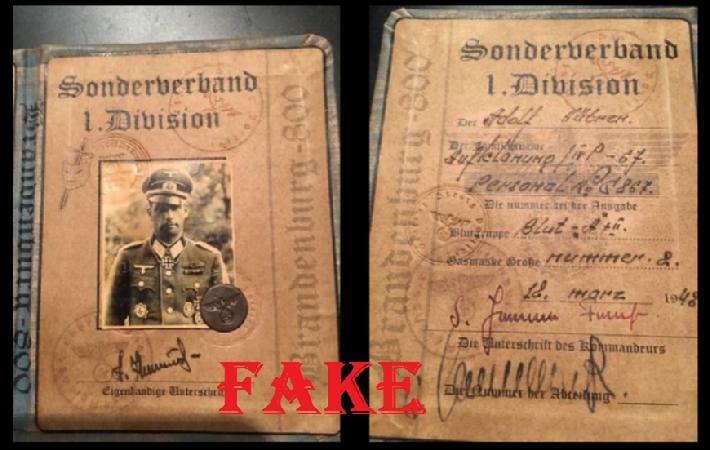 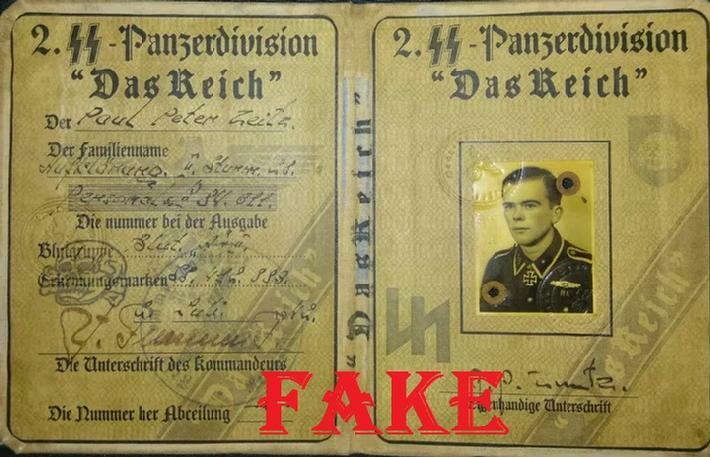 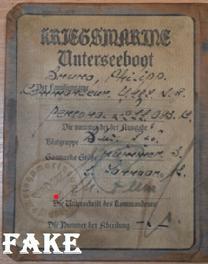 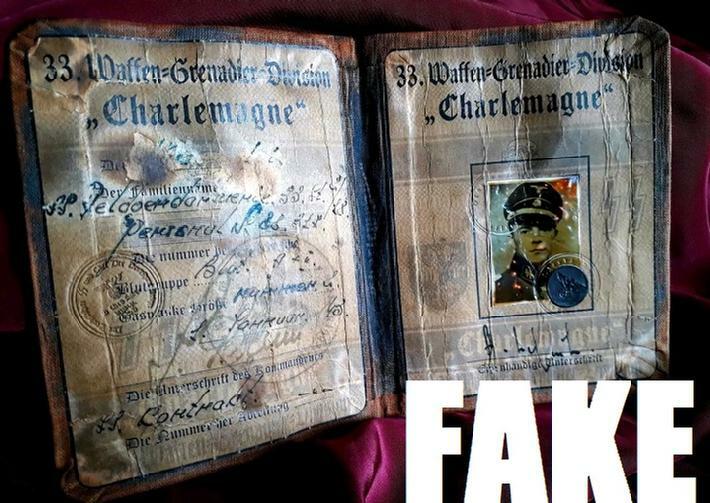 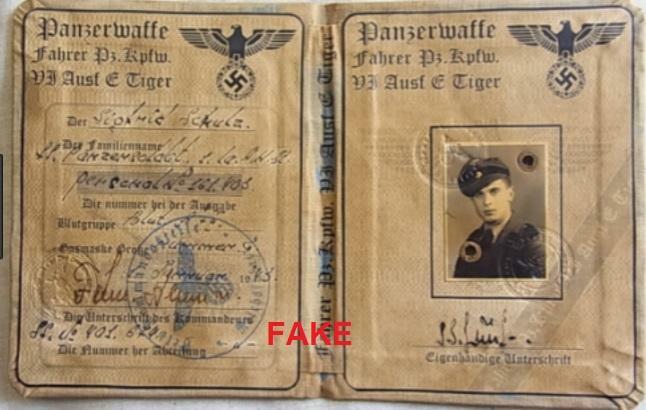 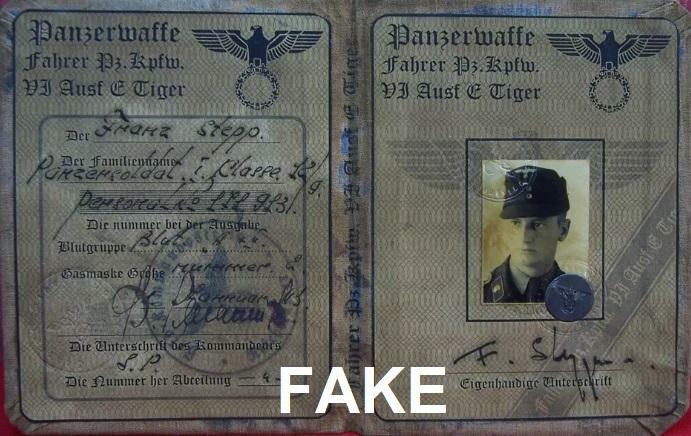 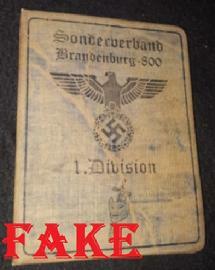 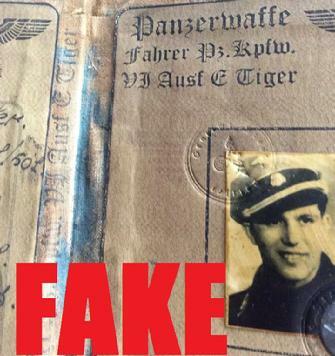 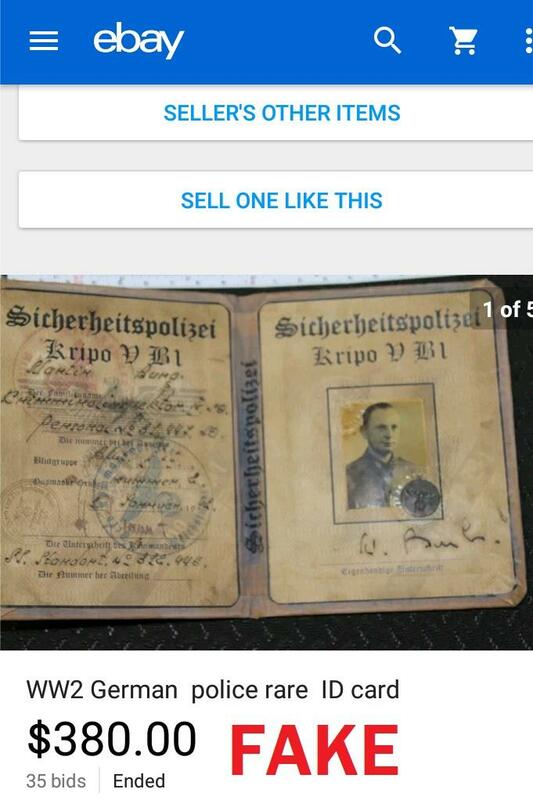 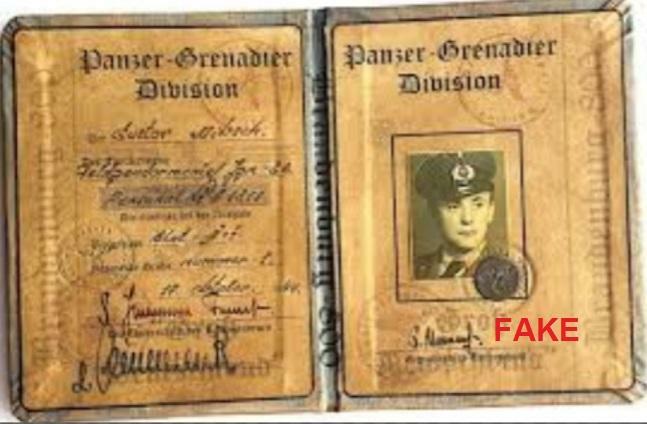 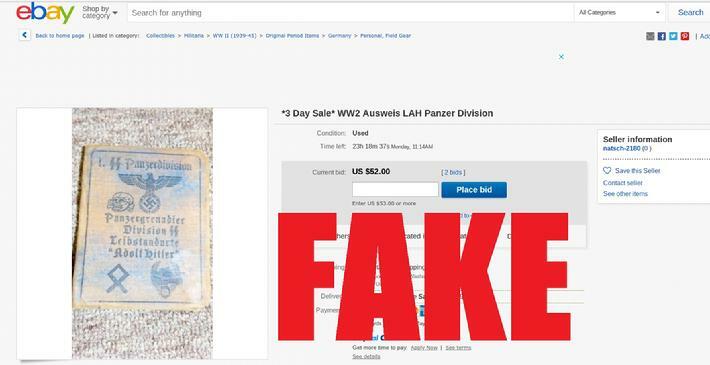 As discussed on the homepage, there are thousands of these fake passbooks flooding the memorabilia market from foreign countries, many of them as you can see are very impressive in appearance. 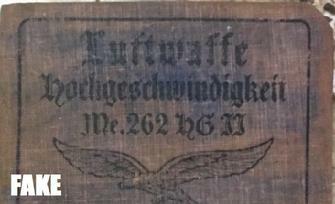 The verbiage on them tends to make little sense, but unless you can read German, you'll never know. 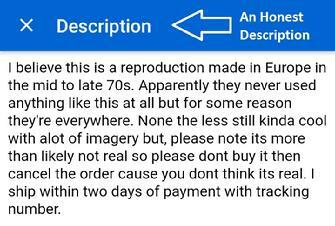 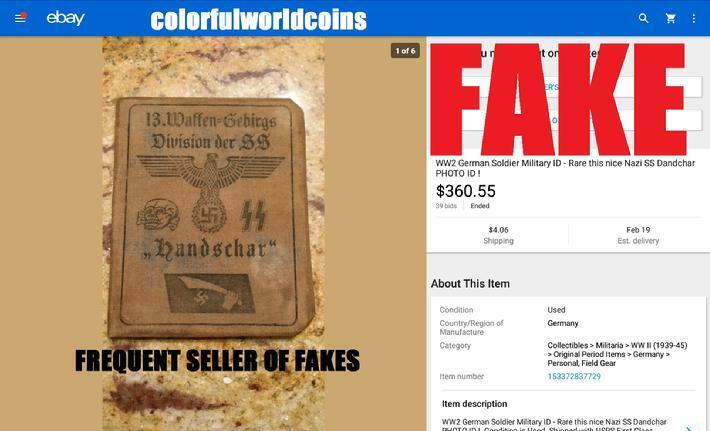 Though they can be frequently found on ebay, they can also be found on various other auction sites as well as several memorabilia sites claiming to sell authentic items. 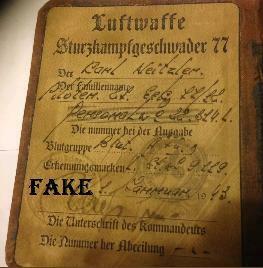 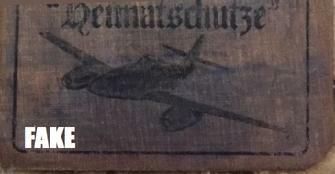 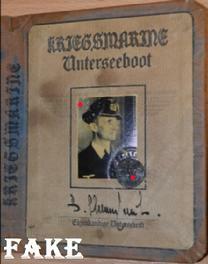 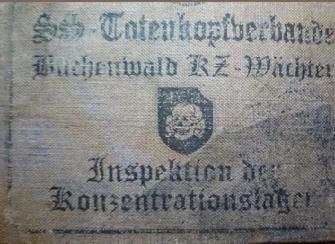 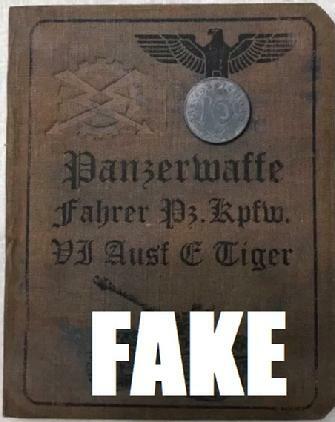 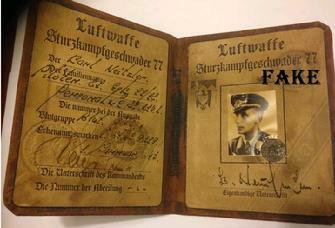 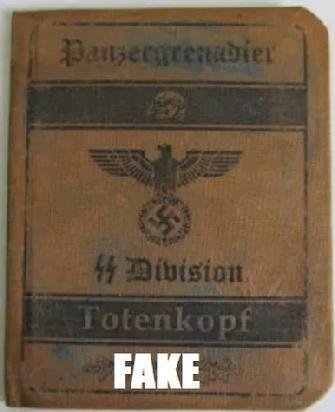 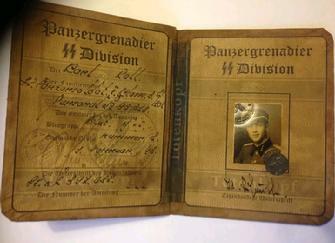 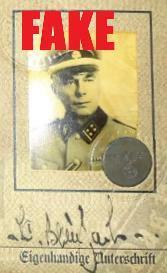 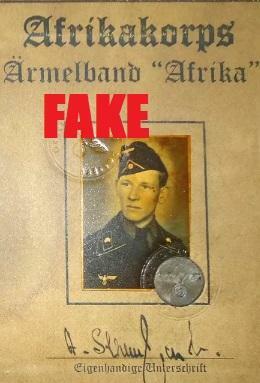 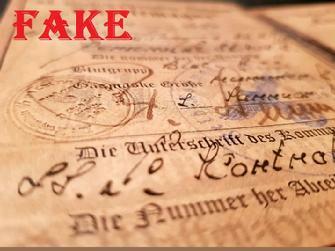 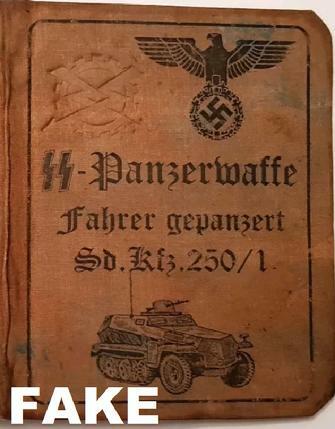 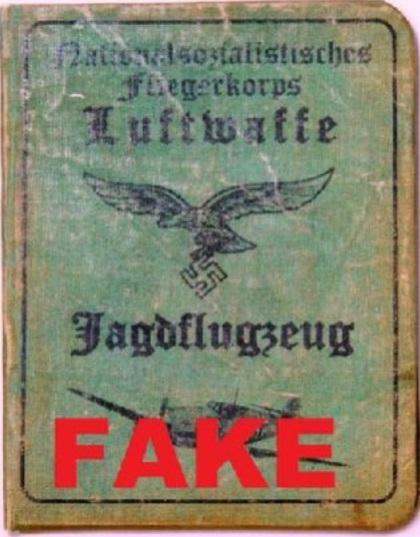 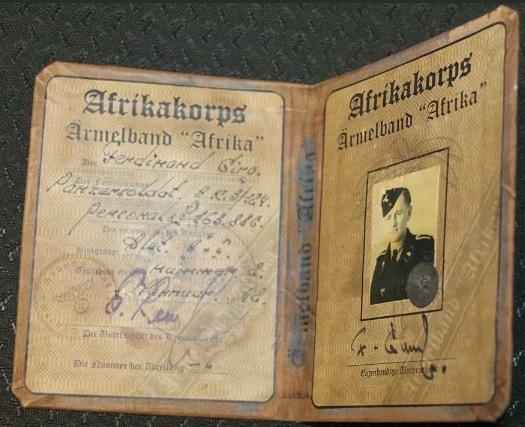 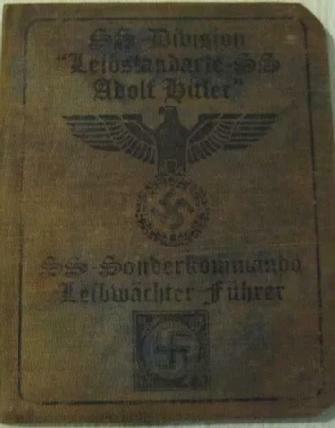 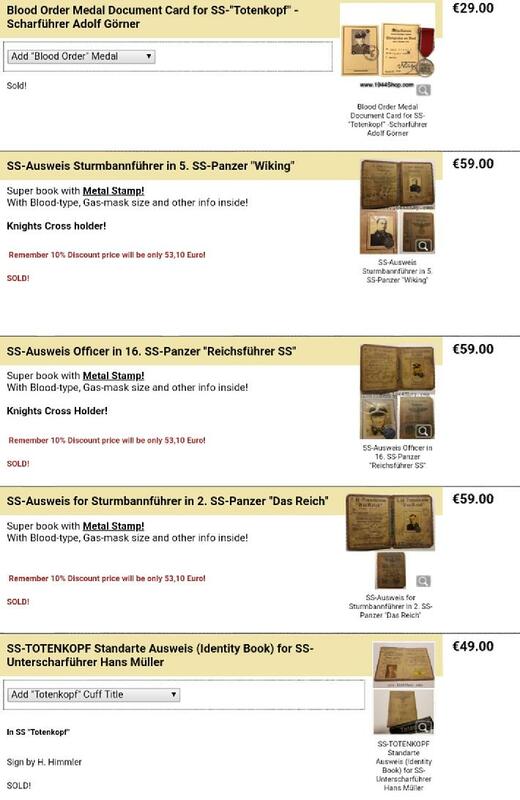 These books are fantasy pieces as no such decorative military ID's ever existed within the German military or government. 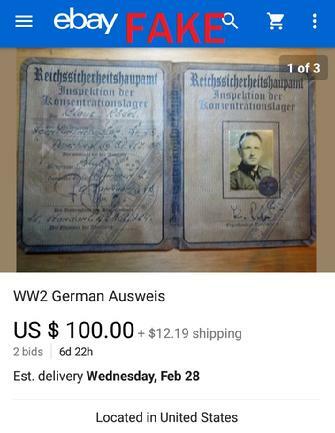 I've seen them sell for hundreds of dollars with dozens of bidders fighting over them. 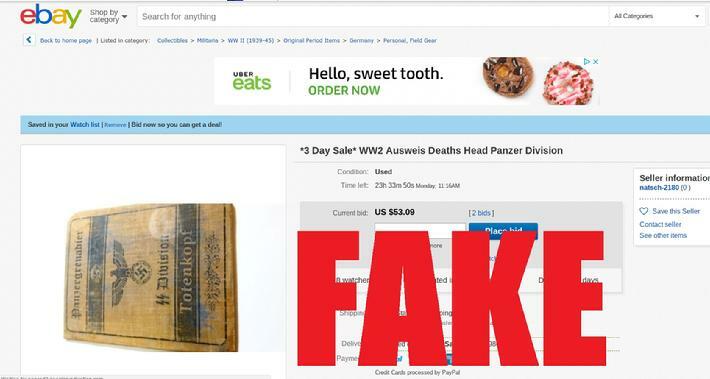 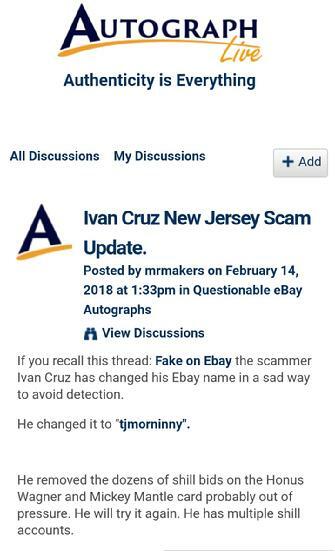 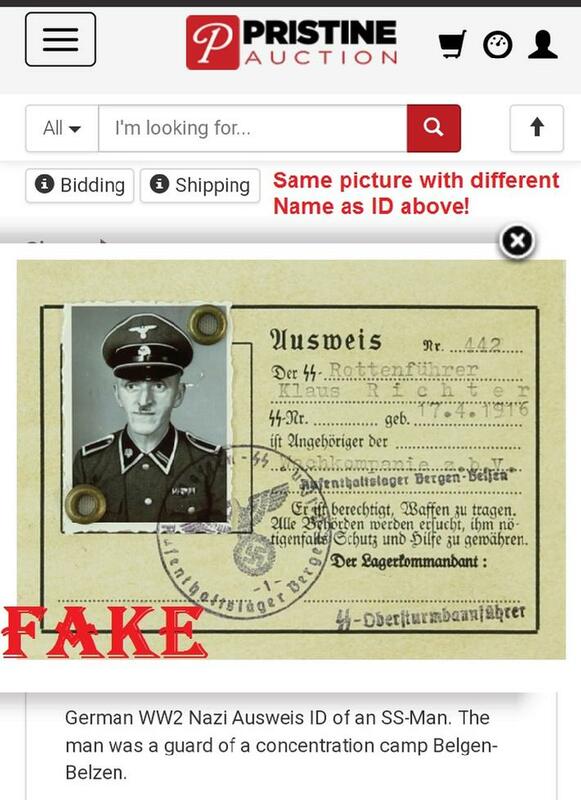 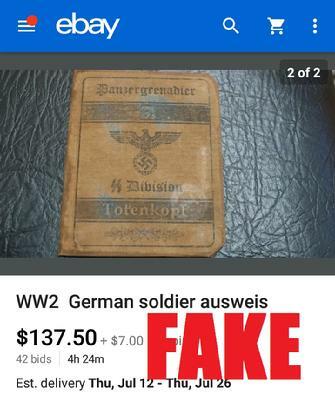 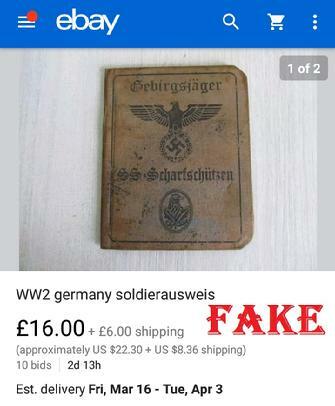 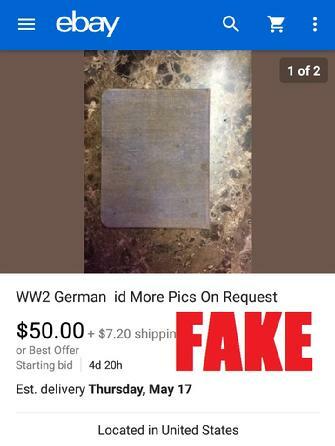 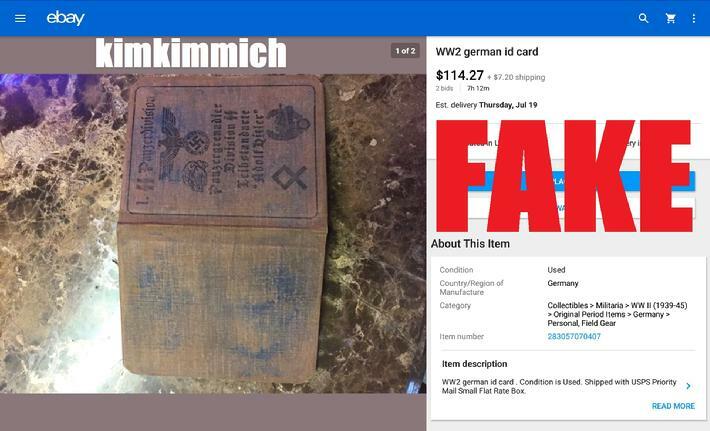 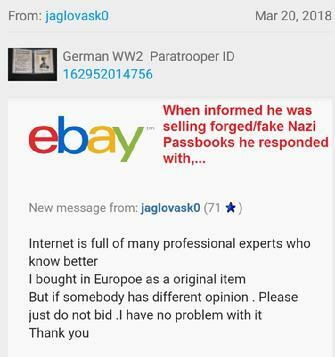 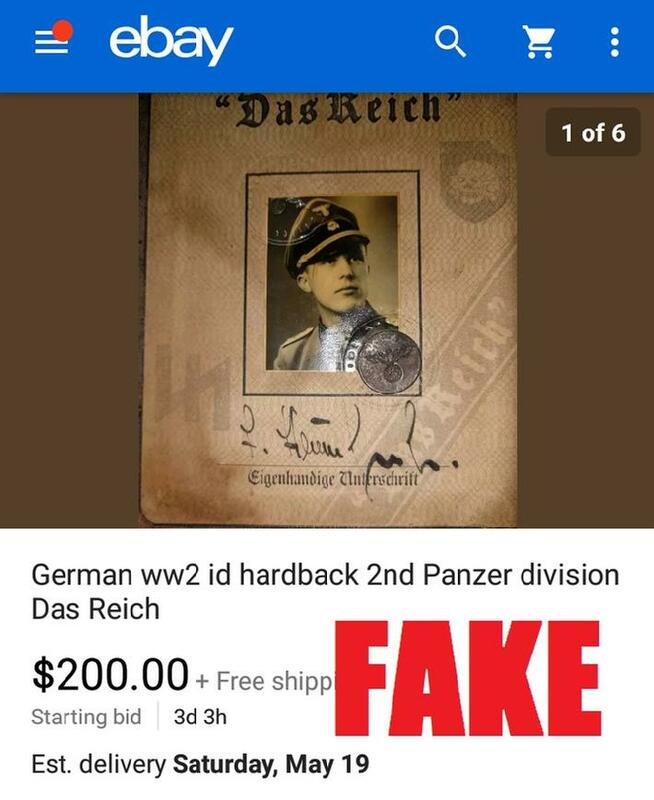 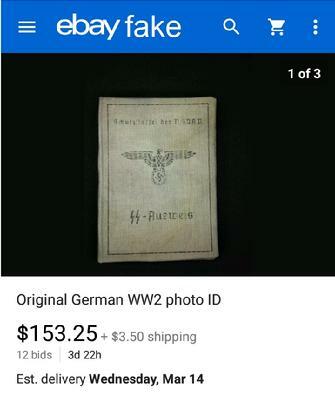 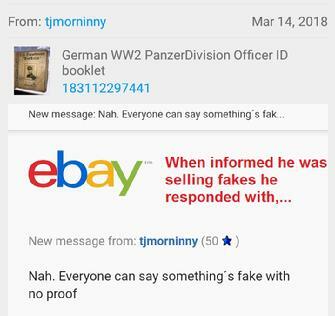 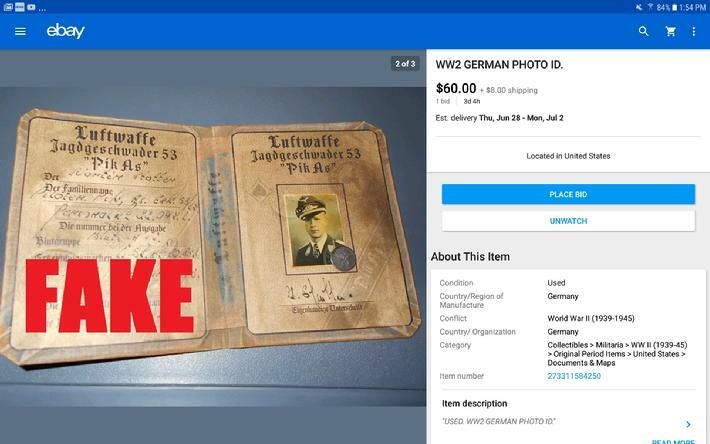 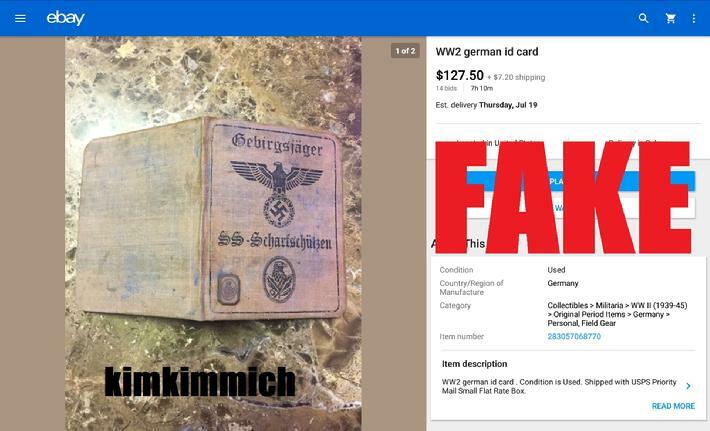 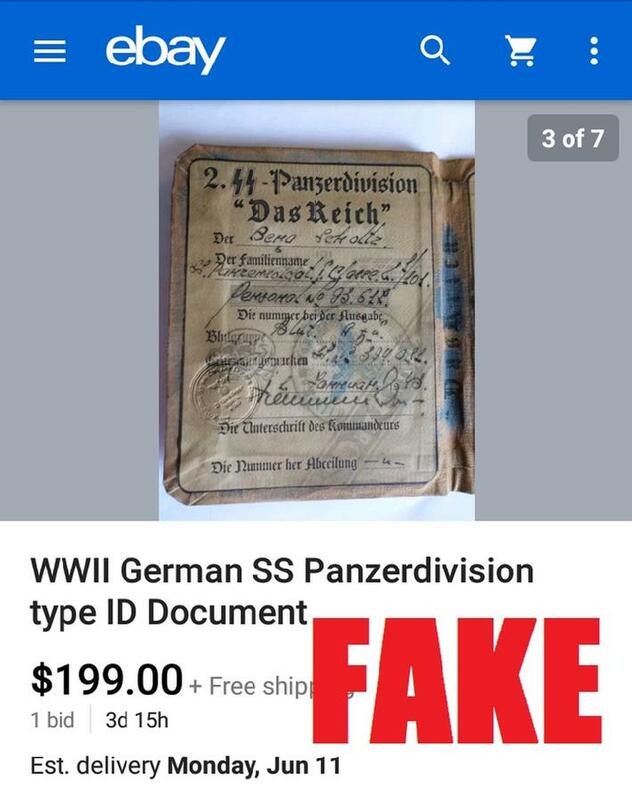 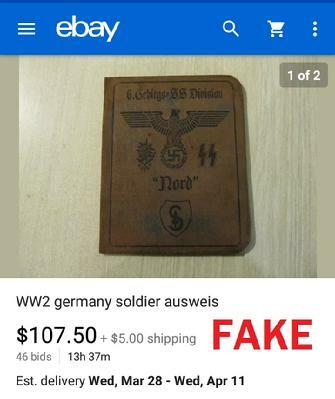 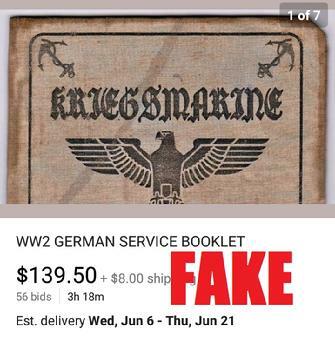 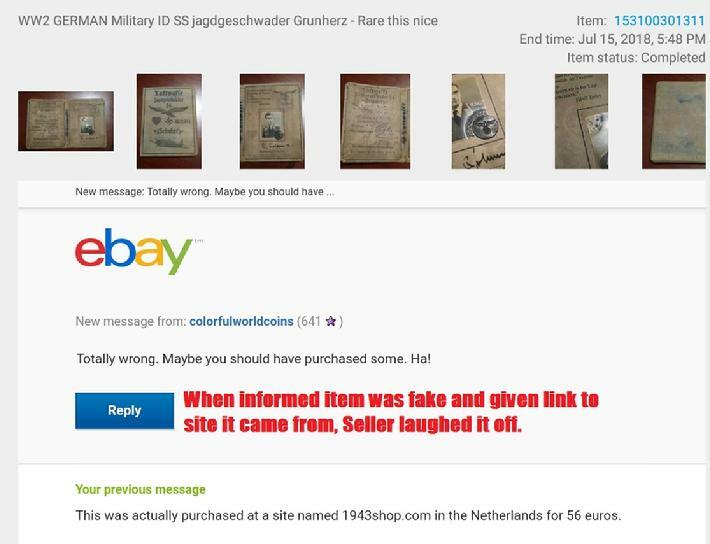 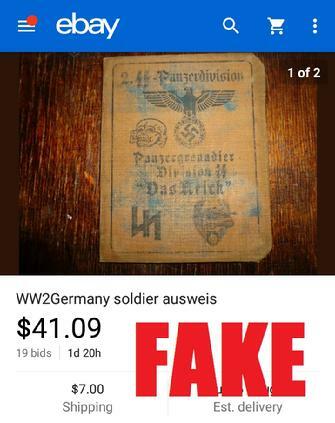 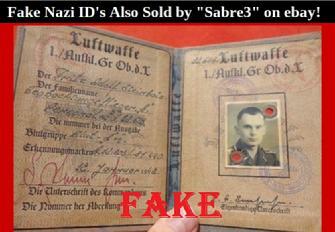 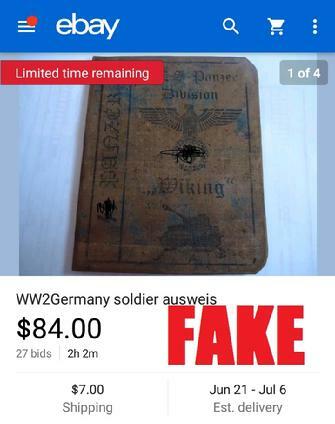 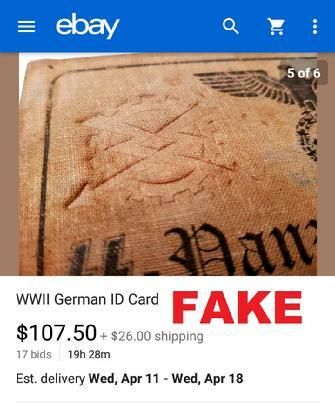 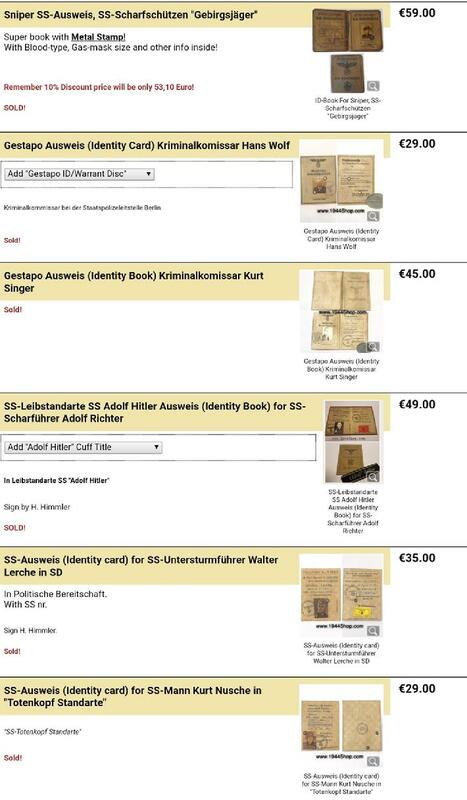 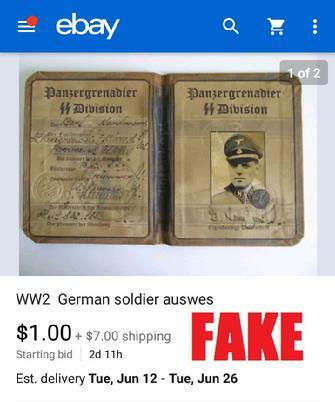 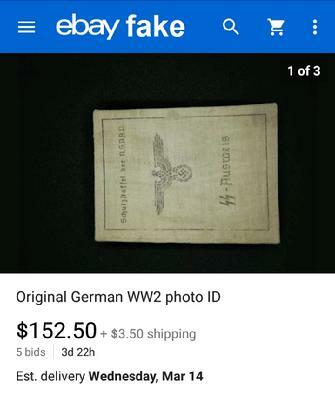 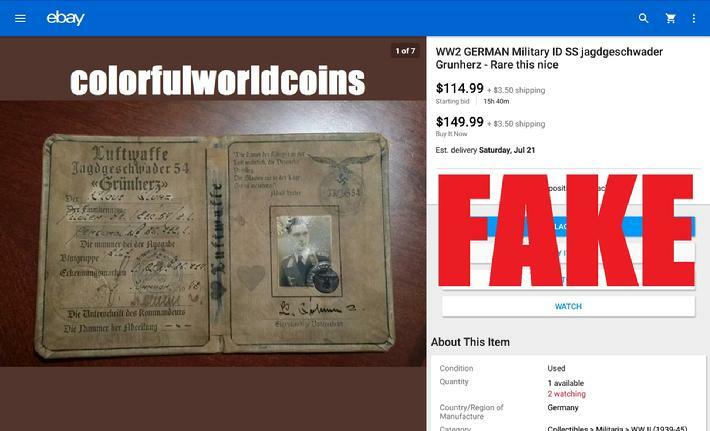 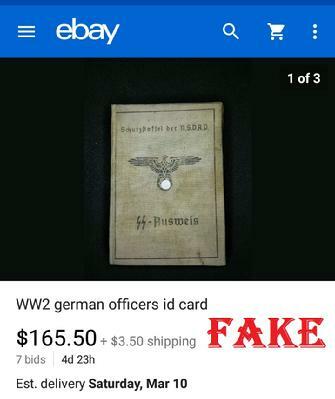 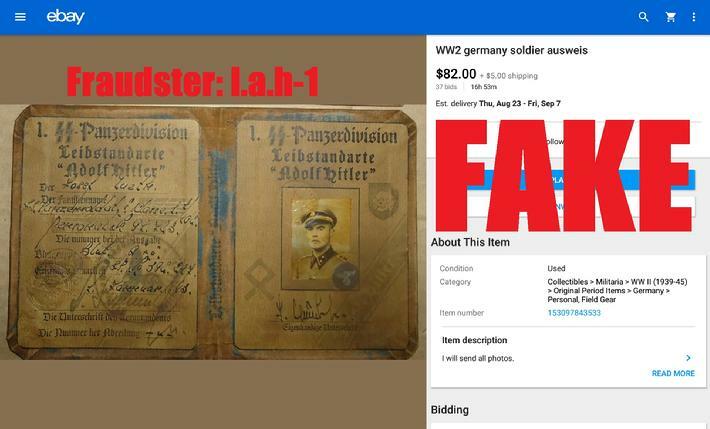 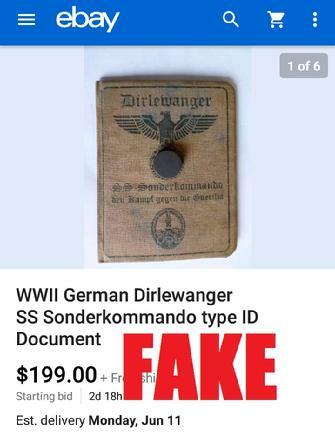 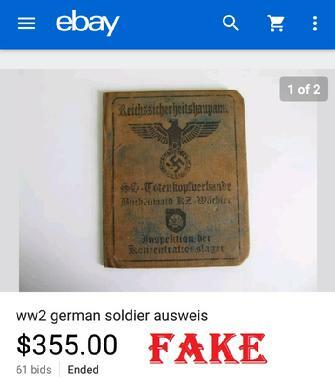 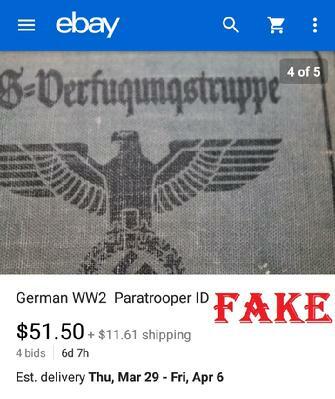 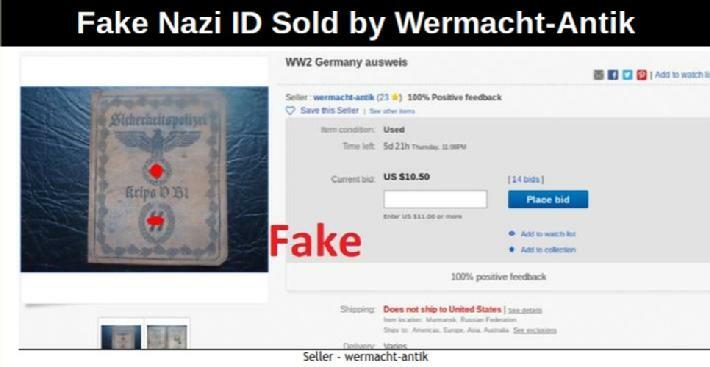 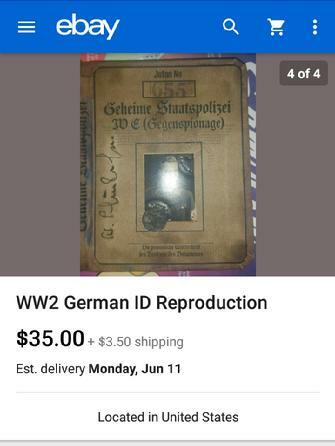 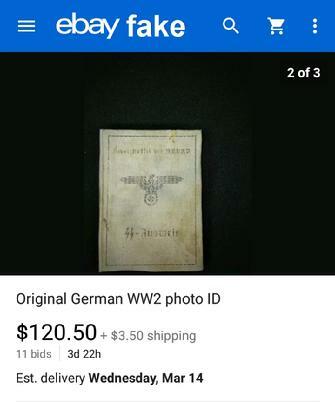 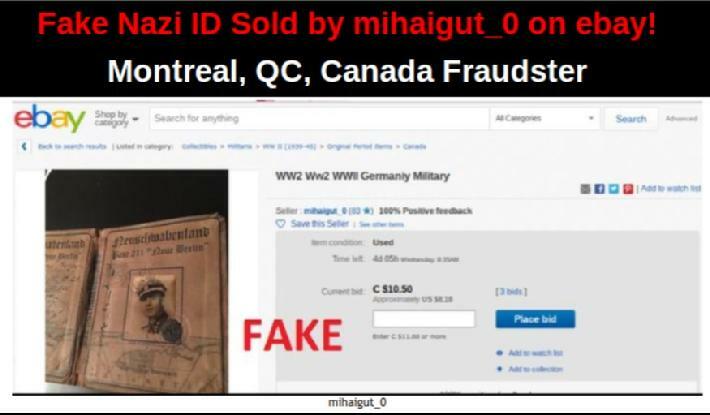 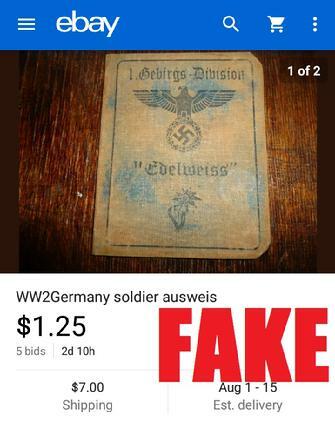 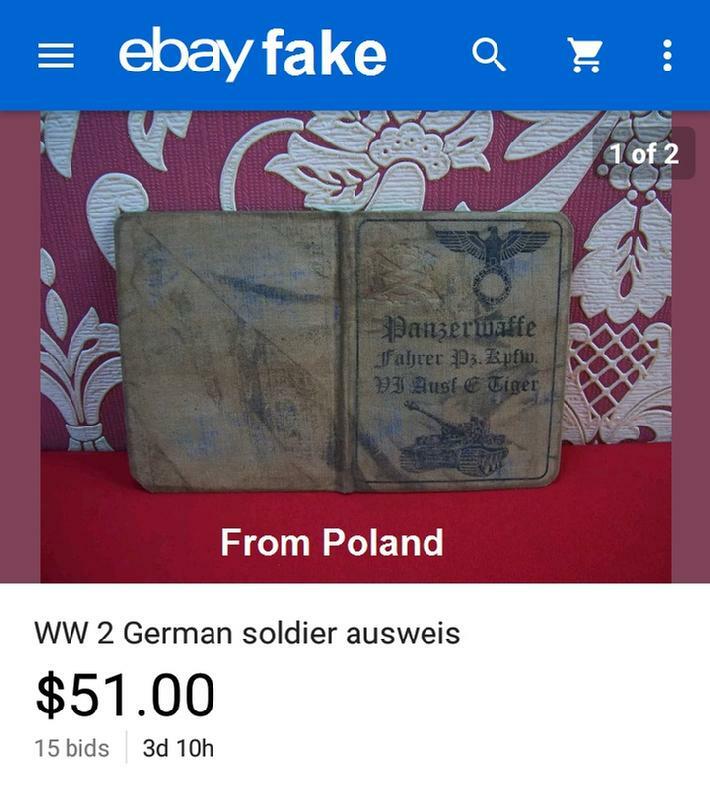 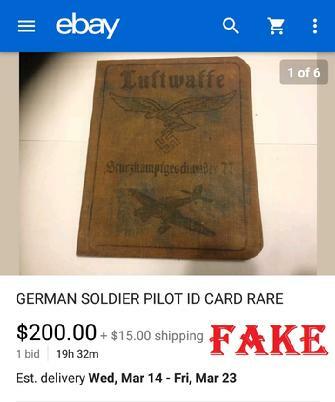 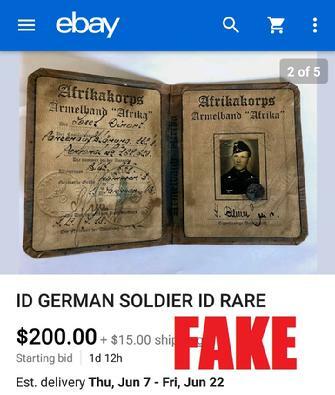 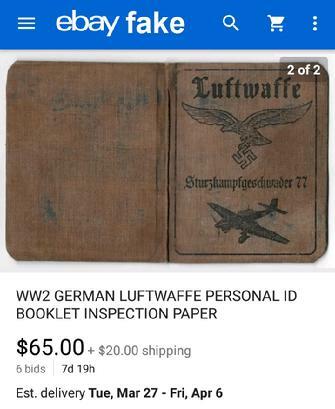 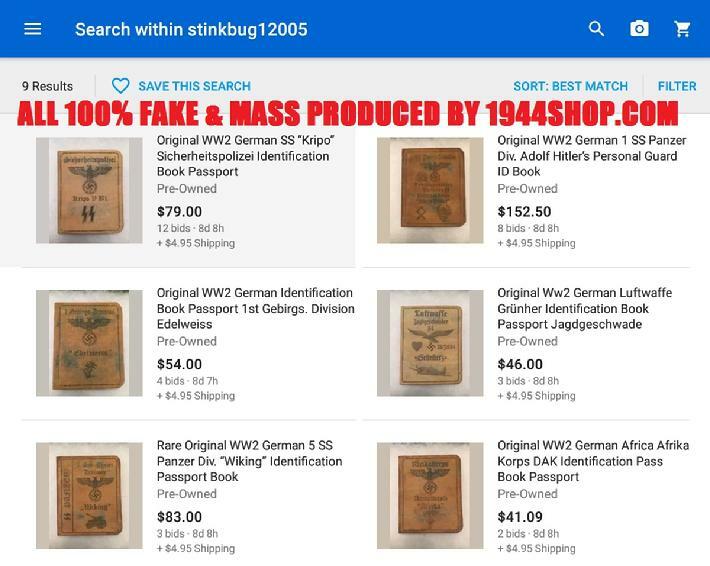 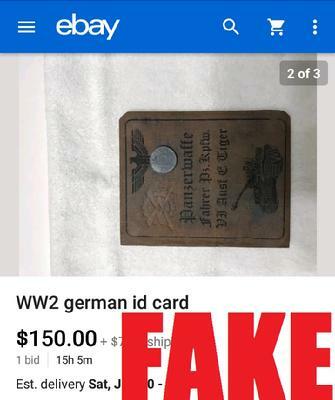 The best part is that ebays rules prohibit the sale of Nazi items, and even if you report these fake ID's they rarely remove them. 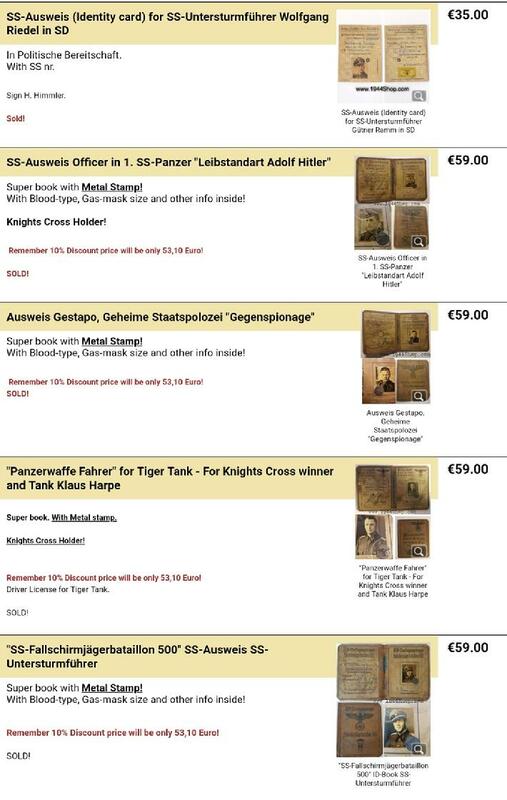 The sellers use various identies to sell under, and you may notice they all get posted at about the same time. 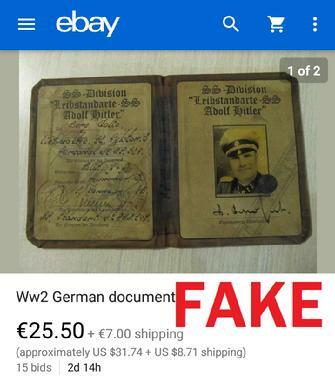 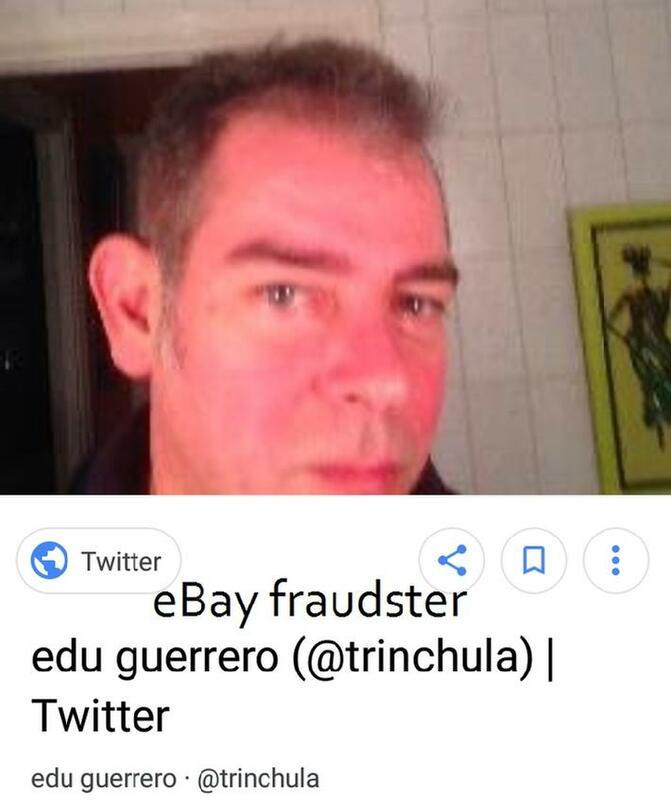 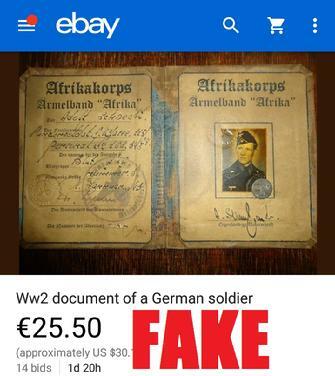 This Seller Bought This Fake for Just 59 Euros! 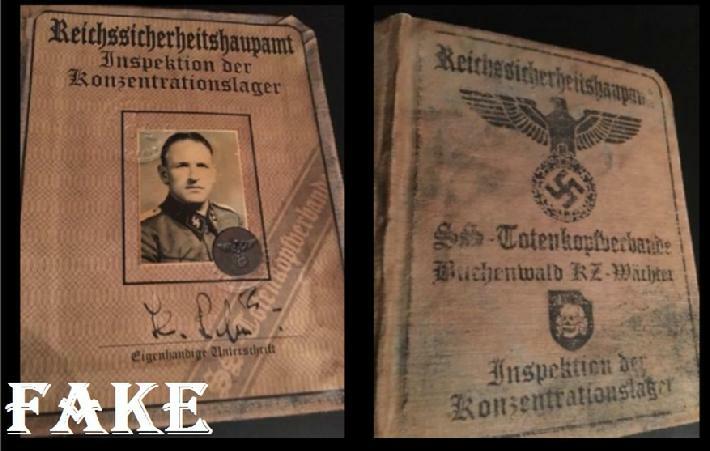 Gunter Schenk suddenly becomes Klaus Richter!